THE POLITICAL CAMPAIGN OF 1864. THE PRESIDENTIAL ELECTION.--THE CLEVELAND CONVENTION.--THE CONVENTION AT BALTIMORE.--MR. LINCOLN'S RENOMINATION AND ACCEPTANCE.--POPULAR FEELING DURING THE SUMMER.--THE ARGUELLES CASE.--THE FORGED PROCLAMATION.--THE NIAGARA FALLS CONFERENCE. --THE CHICAGO CONVENTION.--PROGRESS AND RESULT OF THE CAMPAIGN.--POPULAR JOY AT THE RESULT. THE American people were approaching another test of their capacity for self-government, in some respects more trying than any they had yet encountered. As the spring of 1864 was passing away, the official term of President Lincoln drew towards its close, and the people were required to choose his successor. At all times and under the most favorable circumstances, the election of a President is attended with a degree of excitement, which some of the wisest theorists have pronounced inconsistent with the permanent harmony and safety of a republican form of government. But that such an election should become necessary in the midst of a civil war, which wrapped the whole country in its flames and aroused such intense and deadly passions in the public heart, was felt to be foremost among the calamities which had menaced the land. The two great rebel armies still held the field. The power of their government was still unbroken. All our attempts to capture their capital had proved abortive. The public debt was steadily and rapidly increasing. Under the resistless pressure of military necessity, the Government, availing itself of the permissions of the Constitution, had suspended the great safeguard of civil freedom, and dealt with individuals whom it deemed dangerous to the public safety with as absolute and relentless severity as the most absolute monarchies of Europe had ever shown. Taxes were increasing; new drafts of men to fill the ranks of new armies were impending; the Democratic party, from the very beginning hostile to the war and largely imbued with devotion to the principle of State Sovereignty on which the rebellion rested, and with toleration for slavery out of which it grew, was watching eagerly for every means of arousing popular hatred against the Government, that they might secure its transfer to their own hands; and the losses, the agonies, the desolations of the war were beginning, apparently, to make themselves felt injuriously upon the spirit, the endurance, the hopeful resolution of the people throughout the loyal States. That under these circumstances and amidst these elements of popular discontent and hostile passion, the nation should be compelled to plunge into the whirlpool of a political contest, was felt to be one of the terrible necessities which might involve the nation's ruin. That the nation went through it, with a majestic calmness up to that time unknown, and came out from it stronger, more resolute, and more thoroughly united than ever before, is among the marvels which confound all theory, and demonstrate to the world the capacity of an intelligent people to provide for every conceivable emergency in the conduct of their own affairs. Preparations for the nomination of candidates had be gun to be made, as usual, early in the spring of 1864. Some who saw most clearly the necessities of the future, had for some months before expressed themselves strongly in favor of the renomination of President Lincoln. But this step was contested with great warmth and activity by prominent members of the political party by which he had been nominated and elected four years before. Nearly all the original Abolitionists and many of the more decidedly anti-slavery members of the Republican party were dissatisfied, that Mr. Lincoln had not more rapidly and more sweepingly enforced their extreme opinions. Many distinguished public men resented his rejection of their advice, and many more had been alienated by his inability to recognize their claims to office. The most violent opposition came from those who had been most persistent and most clamorous in their exactions. And as it was unavoidable that, in wielding so terrible and so absolute a power in so terrible a crisis, vast multitudes of active and ambitious men should be disappointed in their expectations of position and personal gain, the renomination of Mr. Lincoln was sure to be contested by a powerful and organized effort. At the very outset this movement acquired consistency and strength by bringing forward the Hon. S. P. Chase, Secretary of the Treasury, a man of great political boldness and experience, and who had prepared the way for such a step by a careful dispensation of the vast patronage of his department, as the rival candidate. But it was instinctively felt that this effort lacked the sympathy and support of the great mass of the people, and it ended in the withdrawal of his name as a candidate by Mr. Chase himself. on our own responsibility, to declare to the people that the time has come for all independent men, jealous of their liberties and of the national greatness, to confer together, and unite to resist the swelling invasion of an open, shameless, and unrestrained patronage, which threatens to in	gulf under its destructive wave the rights of the people, the liberty and dignity of the nation. Deeply impressed with the conviction that, in a time of revolution, when the public attention is turned exclusively to the success of armies, and is consequently less vigilant of the public liberties, the patronage derived from the organization of an army of a million of men, and an administration of affairs which seeks to control the remotest parts of the country in favor of its supreme chief, constitute a danger seriously threatening the stability of republican institutions, we declare that the principle of one term, which has now acquired nearly the force of law by the consecration of time, ought to be inflexibly adhered to in the approaching election. We further declare, that we do not recognize in the Baltimore Convention the essential conditions of a truly National Convention. Its proximity to the centre of all the interested influences of the administration, its distance from the centre of the country, its mode of convocation, the corrupting practices to which it has been and inevitably will be subjected, do not permit the people to assemble there with any expectation of being able to deliberate at full liberty. Convinced as we are that, in presence of the critical circumstances in which the nation is placed, it is only in the energy and good sense of the people that the general safety can be found; satisfied that the only way to consult it is to indicate a central position, to which every one may go without too much expenditure of means and time, and where the assembled people, far from all administrative influence, may consult freely and deliberate peaceably, with the presence of the greatest possible number of men, whose known principles guarantee their sincere and enlightened devotion to the rights of the people and to the preservation of the true basis of republican government,--we earnestly invite our fellow-citizens to unite at Cleveland, Ohio, on Tuesday, May 31, current, for consultation and concert of action in respect to the approaching Presidential election. Two other calls were issued after this, prominent among the signers of which were some of the Germans of Missouri and some of the old Radical Abolitionists of the East. The convention thus summoned met at the appointed time, about one hundred and fifty in number. No call had ever been put forward for the election of delegates to it, and no one could tell whether its members represented any constituency other than themselves. They came from fifteen different States and the District of Columbia, but every one knew that at the East the movement had no strength whatever. An effort was made by some of them to bring forward the name of General Grant as a candidate, but the friends of Fremont formed altogether too large a majority for that. General John Cochrane, of New York, was chosen to preside over the convention. In the afternoon the platform was presented, consisting of thirteen brief resolutions, favoring the suppression of the rebellion, the preservation of the habeas corpus, of the right of asylum, and the Monroe doctrine, recommending amendments of the Constitution to prevent the re-establishment of slavery, and to provide for the election of President and Vice-President for a single term only, and by the direct vote of the people, and also urging the confiscation of the lands of the rebels and their distribution among the soldiers and actual settlers. The platform having been adopted, the convention proceeded to nominate General Fremont for President by acclamation. General Cochrane was nominated for Vice-President. The title of "The Radical Democracy" was chosen for the supporters of the ticket, a National Committee was appointed, and the convention adjourned. General Fremont's letter of acceptance was dated June 4th. Its main scope was an attack upon Mr. Lincoln for unfaithfulness to the principles he was elected to defend, and upon his Administration for incapacity and selfishness, and for what the writer called "its disregard of constitutional rights, its violation of personal liberty and the liberty of the press, and, as a crowning shame, its abandonment of the right of asylum, dear to all free nations abroad." The platform he approved, with the exception of the proposed confiscation. He intimated that if the Baltimore Convention would nominate any one but Mr. Lincoln he would not stand in the way of a union of all upon that nominee; but said, "If Mr. Lincoln be renominated, as I believe it would be fatal to the country to indorse a policy and renew a power which has cost us the lives of thousands of men and needlessly put the country on the road to bankruptcy, there will remain no alternative but to organize against him every element of conscientious opposition, with the view to prevent the misfortune of his re-election." And he accepted the nomination, and announced that he had resigned his commission in the army. The convention, the nomination, and the letter of acceptance, fell dead upon the popular feeling. The time had been when Fremont's name had power, especially with the young men of the country. Many had felt that he had received less than he deserved at the hands of the Administration, and that if the opportunity had been afforded he would have rendered to the country distinguished and valuable service. But the position which he had here taken at once separated him from those who had been his truest friends, whose feelings were accurately expressed by Governor Morton, of Indiana, in a speech at Indianapolis on the 12th of June, when he said: "I carried the standard of General Fremont to the best of my poor ability through the canvass of 1856, and I have since endeavored to sustain him, not only as a politician, but as a military chieftain, and never until I read this letter did I have occasion to regret what I have done. It has been read with joy by his enemies and with pain by his friends, and, omitting one or two sentences, there is nothing in it that might not have been written or subscribed without inconsistency by Mr. Vallandigham." EXECUTIVE MANSION, WASHINGTON, June 3, 1864. GENTLEMEN:--Your letter, inviting me to be present at a mass meeting of loyal citizens, to be held at New York, on the 4th instant, for the purpose of expressing gratitude to Lieutenant-General Grant for his signal services, was received yesterday. It is impossible for me to attend. I approve, nevertheless, of whatever may tend to strengthen and sustain General Grant and the noble armies now under his direction. My previous high estimate of General Grant has been maintained and heightened by what has occurred in the remarkable campaign he is now conducting, while the magnitude and difficulty of the task before him does not prove less than I expected. He and his brave soldiers are now in the midst of their great trial, and I trust that at your meeting you will so shape your good words that they may turn to men and guns, moving to his and their support. Whatever political purposes prompted the call for this meeting, they were entirely overborne by the simple but resistless appeal, made by the President in this letter, to the patriotism of the country. Its effect was to stimulate instantly and largely the effort to fill up the ranks of the army, and thus aid General Grant in the great campaign by which he hoped to end the war. In a private letter to a personal friend, however, General Grant put a decisive check upon all these attempts of politicians to make his name the occasion of division among Union men, by peremptorily refusing to allow himself to be made a candidate, and by reiterating in still more emphatic and hopeful terms the President's appeal to the people for aid and support. None of these schemes of ambitious aspirants to political leadership had any effect upon the settled sentiment and purpose of the great body of the people. They appreciated the importance of continuing the administration of the government in the same channel, and saw clearly enough that nothing would more thoroughly impress upon the rebels and the world the determination of the people to preserve the Union at all hazards, and at whatever cost, than the indorsement by a popular vote, in spite of all mistakes and defects of policy, of the President, by whom the war had thus far been conducted. 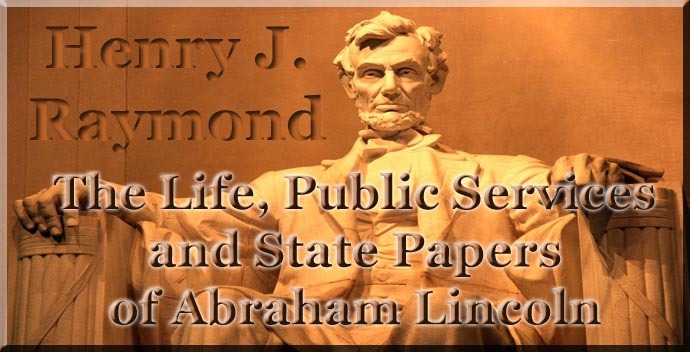 The nation, moreover, had entire faith in his integrity, his sagacity, and his unselfish devotion to the public good. Nothing can be more plain than the fact that you are here as representatives of a great nation--voluntary representatives, chosen with	out forms of law, but as really representing the feelings and principles, and, if you choose, the prejudices of the American people, as if it were written in their laws and already passed by their votes. For the man that you will nominate here for the Presidency of the United States and ruler of a great people, in a great crisis, is just as certain, I suppose, to become that ruler as any thing under heaven is certain before it is done. And moreover you will allow me to say, though perhaps it is hardly strictly proper that I should, but as far as I know your opin	ions, I suppose it is just as certain now, before you utter it, whose name you will utter--one which will be responded to from one end to the other of this nation, as it will be after it has been uttered and recorded by your secretary." The permanent organization was effected in the afternoon, by the choice of Hon. William Dennison, Ex-Governor of Ohio, as president, with twenty-three vice-presidents, each from a different State, and twenty-three secretaries. After a speech from Governor Dennison, and another from Parson Brownlow, of Tennessee, the convention adjourned till Wednesday morning at nine o'clock. The first business which came up when the convention reassembled, was the report of the Committee on Credentials. There were two important questions which arose upon this report. The first was the Missouri question--there being a double delegation present from that State. The committee had reported in favor of admitting the delegation called the Radical Union Delegation to seats in the convention, as the only one elected in conformity with usage and in regular form. An effort was made to modify this by admitting both delegations to seats, and allowing them to cast the vote of the State only in case of their agreement. This proposition, however, was voted down by a large majority, and the report of the committee on that point was adopted. This result had special importance in its bearing upon the vexed state of politics in Missouri, which had hitherto, as we have seen, caused Mr. Lincoln much trouble. The next question, which had still greater importance, related to the admission of the delegations from Tennessee, Arkansas, and Louisiana. Congress had passed a resolution substantially excluding States which had been in rebellion from participation in national affairs until specifically readmitted to the Union--while it was known that President Lincoln regarded all ordinances of secession as simply null and void, incapable of affecting the legal relations of the States to the National Government. At the very opening of the convention an effort had been made by Hon. Thaddeus Stevens, of Pennsylvania, to secure the adoption of a resolution against the admission of delegates from any States thus situated. This, however, had failed, and the whole matter was referred to the Committee on Credentials, of which Hon. Preston King, of New York, had been appointed chairman. Mr. King, on behalf of this committee and under its instructions, reported in favor of admitting these delegates to seats, but without giving them the right to vote. Mr. King, for himself, however, and as the only member of the committee who dissented from its report, moved to amend it by giving them equal rights in convention with delegates from the other States. This amendment was adopted by a large majority, and affected in a marked degree the subsequent action of the convention. The report was further amended so as to admit delegates from the Territories of Colorado, Nebraska, and Nevada, and also from Florida and Virginia, without the right to vote--and excluding a delegation from South Carolina. Thus amended it was adopted. Resolved, That it is the highest duty of every American citizen to maintain, against all their enemies, the integrity of the Union and the par	amount authority of the Constitution and laws of the United States; and that, laying aside all differences of political opinion, we pledge our	selves as Union men, animated by a common sentiment and aiming at a common object, to do every thing in our power to aid the Government in quelling by force of arms the rebellion now raging against its author	ity, and in bringing to the punishment due to their crimes the rebels and traitors arrayed against it. Resolved, That we approve the determination of the Government of the United States not to compromise with rebels, or to offer any terms of peace except such as may be based upon an unconditional surrender of their hostility and a return to their just allegiance to the Constitution and laws of the United States; and that we call upon the Government to maintain this position and to prosecute the war with the utmost pos	sible vigor to the complete suppression of the rebellion, in full reliance upon the self-sacrificing patriotism, the heroic valor, and the undying devotion of the American people to their country and its free institutions. Resolved, That as slavery was the cause and now constitutes the strength of this rebellion, and as it must be always and everywhere hostile to the principles of republican government, justice and the national safety demand its utter and complete extirpation from the soil of the republic; and that while we uphold and maintain the acts and proclamations by which the Government, in its own defence, has aimed a death	blow at this gigantic evil, we are in favor, furthermore, of such an amendment to the Constitution, to be made by the people, in conformity with its provisions, as shall terminate and forever prohibit the existence of slavery within the limits or the jurisdiction of the United States. Resolved, That the thanks of the American people are due to the soldiers and sailors of the army and the navy, who have perilled their lives in defence of their country and in vindication of the honor of its flag; that the nation owes to them some permanent recognition of their patriotism and their valor, and ample and permanent provision for those of their survivors who have received disabling and honorable wounds in the service of their country; and that the memories of those who have fallen in its defence shall be held in grateful and everlasting remembrance. Resolved, That we approve and applaud the practical wisdom, the un	selfish patriotism, and the unswerving fidelity to the Constitution and the principles of American liberty with which Abraham Lincoln has discharged, under circumstances of unparalleled difficulty, the great duties and responsibilities of the Presidential office; that we approve and indorse, as demanded by the emergency and essential to the preservation of the nation, and as within the provisions of the Constitution, the measures and acts which he has adopted to defend the nation against its open and secret foes; that we approve especially the Proclamation of Emancipation and the employment as Union soldiers of men heretofore held in slavery; and that we have full confidence in his determination to carry these and all other constitutional measures, essential to the salvation of the country, into full and complete effect. Resolved, That we deem it essential to the general welfare that harmony should prevail in our national councils, and we regard as worthy of public confidence and official trust those only who cordially indorse the principles proclaimed in these resolutions, and which should characterize the administration of the Government. Resolved, That the Government owes to all men employed in its armies, without regard to distinction of color, the full protection of the laws of war, and that any violation of these laws, or the usages of civilized nations in time of war, by the rebels now in arms, should be made the subject of prompt and full redress. Resolved, That the foreign immigration which in the past has added so much to the wealth, development of resources, and increase of power of this nation, the asylum of the oppressed of all nations, should be fostered and encouraged by a liberal and just policy. Resolved, That we are in favor of a speedy construction of the railroad to the Pacific coast. Resolved, That the national faith, pledged for the redemption of the public debt, must be kept inviolate, and that for this purpose we recommend economy and rigid responsibility in the public expenditures, and a vigorous and just system of taxation, and that it is the duty of every loyal State to sustain the credit and promote the use of the national currency. Resolved, That we approve the position taken by the Government, that the people of the United States can never regard with indifference the attempt of any European power to overthrow by force, or to supplant by fraud, the institutions of any republican government on the Western Continent; and that they will view with extreme jealousy, as menacing to the peace and independence of their own country, the efforts of any such power to obtain new footholds for monarchical governments, sustained by foreign military force, in near proximity to the United States. These resolutions were adopted unanimously and with great enthusiasm. A motion was then made that Abraham Lincoln be nominated for re-election by acclamation, but this was afterwards withdrawn, and a ballot taken in the usual way; the only votes that were not given for Mr. Lincoln were the twenty-two votes of Missouri, which, as was explained by the chairman of the delegation, were given under positive instructions for General Grant. Mr. Lincoln received four hundred and ninety-seven votes, and on motion of Mr. Hume, of Missouri, his nomination was made unanimous, amid intense enthusiasm. The contest over the Vice-Presidency was spirited but brief. The candidates before the convention were Vice-President Hamlin, Hon. D. S. Dickinson, of New York, and Andrew Johnson, of Tennessee. The struggle lay however between Mr. Johnson and Mr. Dickinson. The action of the Convention in admitting the delegates from Tennessee to full membership had a powerful effect in determining the result. Mr. Johnson received two hundred votes on the first call of the States, and it being manifest that he was to be the nominee, other States changed, till the vote, when declared, stood four hundred and ninety-two for Johnson, seventeen for Dickinson, and nine for Hamlin. MR. PRESIDENT:--The National Union Convention, which closed its sittings at Baltimore yesterday, appointed a committee, consisting of one from each State, with myself as chairman, to inform you of your unanimous nomination by that convention for election to the officer of President of the United States. That committee, I have the honor of now informing you, is present. On its behalf I have also the honor of presenting you with a copy of the resolutions or platform adopted by that convention, as expressive of its sense and of the sense of the loyal people of the country which it represents, of the principles and policy that should characterize the administration of the Government in the present condition of the country. I need not say to you, sir, that the convention, in thus unanimously nominating you for re-election, but gave utterance to the almost universal voice of the loyal people of the country. To doubt of your triumphant election would be little short of abandoning the hope of a final suppression of the rebellion and the restoration of the government over the insurgent States. Neither the convention nor those represented by that body entertained any doubt as to the final result, under your administration, sustained by the loyal people, and by our noble army and gallant navy. Neither did the convention, nor do this committee, doubt the speedy suppression of this most wicked and unprovoked rebellion. I would add, Mr. President, that it would be the pleasure of the committee to communicate to you within a few days, through one of its most accomplished members, Mr. Curtis, of New York, by letter, more at length the circumstances under which you have been placed in nomination for the Presidency. MR. CHAIRMAN AND GENTLEMEN OF THE COMMITTEE:--I will neither conceal my gratification, nor restrain the expression of my gratitude, that the Union people, through their convention, in the continued effort to save and advance the nation, have deemed me not unworthy to remain in my present position. I know no reason to doubt that I shall accept the nomination tendered; and yet, perhaps, I should not declare definitely before reading and considering what is called the platform. I will say now, however, that I approve the declaration in favor of so amending the Constitution as to prohibit slavery throughout the nation. When the people in revolt, with the hundred days' explicit notice that they could within those days resume their allegiance without the overthrow of their institutions, and that they could not resume it afterward, elected to stand out, such an amendment of the Constitution as is now proposed became a fitting and necessary conclusion to the final success of the Union cause. Such alone can meet and cover all cavils. I now perceive its importance and embrace it. In the joint names of Liberty and Union let us labor to give it legal form and practical effect. At the conclusion of the President's speech, all of the committee shook him cordially by the hand and offered their personal congratulations. MR. PRESIDENT:--I have the honor of introducing to you the representatives of the Union League of the Loyal States, to congratulate you upon your renomination, and to assure you that we will not fail at the polls to give you the support that your services in the past so highly deserve. We feel honored in doing this, for we are assured that we are aiding in re-electing to the proud position of President of the United States one so highly worthy of it--one among not the least of whose claims is that he was the emancipator of four millions of bondmen. GENTLEMEN:--I can only say in response to the remarks of your chair	man, that I am very grateful for the renewed confidence which has been accorded to me, both by the convention and by the National League. I am not insensible at all to the personal compliment there is in this, yet I do not allow myself to believe that any but a small portion of it is to be appropriated as a personal compliment to me. The convention and the nation, I am assured, are alike animated by a higher view of the interests of the country, for the present and the great future, and the part I am entitled to appropriate as a compliment is only that part which I may lay hold of as being the opinion of the convention and of the League, that I am not en	tirely unworthy to be intrusted with the place I have occupied for the last three years. I have not permitted myself, gentlemen, to conclude that I am the best man in the country; but I am reminded in this connection of a story of an old Dutch farmer, who remarked to a companion once that "it was not best to swap horses when crossing a stream." GENTLEMEN:--I am very much obliged to you for this compliment. I have just being saying, and will repeat it, that the hardest of all speeches I have to answer is a serenade. I never know what to say on these occasions. I suppose that you have done me this kindness in connection with the action of the Baltimore Convention, which has recently taken place, and with which, of course, I am very well satisfied. What we want still more than Baltimore Conventions, or Presidential elections, is success under General Grant. I propose that you constantly bear in mind that the support you owe to the brave officers and soldiers in the field is of the very first importance, and we should therefore bend all our energies to that point. Now without detaining you any longer, I propose that you help me to close up what I am now saying with three rousing cheers for General Grant and the officers and soldiers under his command. The rousing cheers were given--Mr. Lincoln himself leading off, and waving his hat as earnestly as any one present. NEW YORK, June 14, 1864. SIR:--The National Union Convention, which assembled in Baltimore on June 7th, 1864, has instructed us to inform you that you were nominated with enthusiastic unanimity for the Presidency of the United States for four years from the 4th of March next. The resolutions of the convention, which we have already had the pleasure of placing in your hands, are a full and clear statement of the principles which inspired its action, and which, as we believe, the great body of Union men in the country heartily approve. Whether those resolutions express the national gratitude to our soldiers and sailors, or the national scorn of compromise with rebels, and consequent dishonor, or the patriotic duty of union and success; whether they approve the Proclamation of Emancipation, the Constitutional Amendment, the employment of former slaves as Union soldiers, or the solemn obligation of the Government promptly to redress the wrongs of every soldier of the Union, of whatever color or race; whether they declare the inviolability of the plighted faith of the nation, or offer the national hospitality to the oppressed of every land, or urge the union by railroad of the Atlantic and Pacific Oceans; whether they recommend public economy and vigorous taxation, or assert the fixed popular opposition to the establishment by armed force of foreign monarchies in the immediate neighborhood of the United States, or declare that those only are worthy of official trust who approve unreservedly the views and policy indicated in the resolutions-	they were equally hailed with the heartiness of profound conviction. the people, for the people," we are very sure that you will be glad to know, not only from the resolutions themselves, but from the singular harmony and enthusiasm with which they were adopted, how warm is the popular welcome of every measure in the prosecution of the war which is as vigorous, unmistakable, and unfaltering as the national purpose itself. No right, for instance, is so precious and sacred to the American heart as that of personal liberty. Its violation is regarded with just, instant, and universal jealousy. Yet, in this hour of peril, every faithful citizen concedes that, for the sake of national existence and the common welfare, individual liberty may, as the Constitution provides in case of rebellion, be sometimes summarily constrained, asking only with painful anxiety that in every instance, and to the least detail, that absolute necessary power shall not be hastily or unwisely exercised. We believe, sir, that the honest will of the Union men of the country was never more truly represented than in this convention. Their purpose we believe to be the overthrow of armed rebels in the field, and the security of permanent peace and union, by liberty and justice, under the Constitution. That these results are to be achieved amid cruel perplexities, they are fully aware. That they are to be reached only through cordial unanimity of counsel, is undeniable. That good men may sometimes differ as to the means and the time, they know. That in the conduct of all human affairs the highest duty is to determine, in the angry conflict of passion, how much good may be practically accomplished, is their sincere persuasion. They have watched your official course, therefore, with unflagging attention; and amid the bitter taunts of eager friends and the fierce denunciation of enemies, now moving too fast for some, now too slowly for others, they have seen you throughout this tremendous contest patient, sagacious, faithful, just--leaning upon the heart of the great mass of the people, and satisfied to be moved by its mighty pulsations. It is for this reason that, long before the convention met, the popular instinct indicated you as its candidate; and the convention, therefore, merely recorded the popular will. Your character and career prove your unswerving fidelity to the cardinal principles of American liberty and of the American Constitution. In the name of that liberty and Constitution, sir, we earnestly request your acceptance of this nomination; reverently commending our beloved country, and you, its Chief Magistrate, with all its brave sons who, on sea and land, are faithfully defending the good old American cause of equal rights, to the blessing of Almighty God. We are, sir, very respectfully, your friends and fellow-citizens. WM. DENNISON, O., Chairman. W. BUSHNELL, Ill.
JOSIAH DRUMMOND, Maine. L. P. ALEXANDER, Mich.
THOS. E. SAWYER, N. H. A. W. RANDALL, Wis.
BRADLEY BARLOW, Vt. A. OLIVER, Iowa. A. H. BULLOCK, Mass. THOMAS SIMPSON, Minn.
A. M. GAMMELL, R. I. JOHN BIDWELL, Cal. G. W. CURTIS, N. Y. LEROY KRAMER, West Va.
W. A. NEWELL, N. J. A. C. WILDER, Kansas. HENRY JOHNSON, Penn. M. M. BRIEN, Tennessee. N. B. SMITHERS, Del. J. P. GREVES, Nevada. W. L. W. SEABROOK, Md. A. A. ATOCHA, La. JOHN F. HUME, Mo. A. S. PADDOCK, Nebraska. G. W. HITE, Ky. VALENTINE DELL, Arkansas. E. P. TYFFE, Ohio. JOHN A. NYE, Colorado. CYRUS M. ALLEN, Ind. A. B. SLOANAKER, Utah. EXECUTIVE MANSION, WASHINGTON, June 27, 1864. GENTLEMEN:--Your letter of the 14th inst., formally notifying me that I have been nominated by the convention you represent for the Presidency of the United States for four years from the 4th of March next, has been received. The nomination is gratefully accepted, as the resolutions of the convention, called the platform, are heartily approved. While the resolution in regard to the supplanting of republican government upon the Western Continent is fully concurred in, there might be misunderstanding were I not to say that the position of the Government in relation to the action of France in Mexico, as assumed through the State Department and indorsed by the convention among the measures and acts of the Executive, will be faithfully maintained so long as the state of facts shall leave that position pertinent and applicable. I am especially gratified that the soldier and seaman were not forgotten by the convention, as they forever must and will be remembered by the grateful country for whose salvation they devote their lives. The platform adopted by the Baltimore Convention met with the general approval of those of the people who claimed to be the supporters of the Government. One exception was, however, found in the person of Mr. Charles Gibson, Solicitor of the United States in the Court of Claims at St. Louis, who, considering, as he said, that that platform rendered his retention of office under Mr. Lincoln's Administration wholly useless to the country, as well as inconsistent with his principles, tendered his resignation, through the clerk of the Court of Claims, Mr. Welling. EXECUTIVE MANSION, WASHINGTON, July 25,1864. According to the request contained in your note, I have placed Mr. Gibson's letter of resignation in the hands of the President. He has read the letter, and says he accepts the resignation, as he will be glad to do with any other, which may be tendered, as this is, for the purpose of taking an attitude of hostility against him. He says he was not aware that he was so much indebted to Mr. Gibson for having accepted the office at first, not remembering that he ever pressed him to do so, or that he gave it otherwise than as usual, upon a request made on behalf of Mr. Gibson. He thanks Mr. Gibson for his acknowledgment that he has been treated with personal kindness and consideration, and he says he knows of but two small drawbacks upon Mr. Gibson's right to still receive such treatment, one of which is that he could never learn of his giving much attention to the duties of his office, and the other is this studied attempt of Mr. Gibson's to stab him. The elements of opposition to Mr. Lincoln's election in the ranks of his own party were checked, though not wholly destroyed, by the unanimity of his nomination. Conferences were still held among prominent men, especially in the city of New York, for the purpose of organizing this hostility and making it effective, and a call was put in circulation for a convention to be held at Cincinnati, to put in nomination another candidate. The movement, however, was so utterly destitute of popular sympathy that it was soon abandoned. A very sharp and acrimonious warfare was still waged upon Mr. Lincoln and his Administration not only by the leading presses of the opposition, but by prominent men and influential journals ostensibly in the ranks of his supporters. Every act of the government was canvassed with eager and unfriendly scrutiny, and made, wherever it was possible, the ground of hostile assault. Among the matters thus seized upon was the surrender to the Spanish authorities of a Cuban named Arguelles, which was referred to by the Fremont Convention as a denial of the right of asylum. This man, Don Jose Augustine Arguelles, was a colonel in the Spanish army, and Lieutenant-Governor of the District of Colon, in Cuba. As such, in November, 1863, he effected the capture of a large number of slaves that were landed within his district, and received from the Government of Cuba praise for his efficiency, and the sum of fifteen thousand dollars for his share of prize-money on the capture. Shortly afterwards, he obtained leave of absence for twenty days, for the purpose of going to New York and there making the purchase of the Spanish newspaper called La Cronica. He came to New York, and there remained. In March following, the Cuban Government made application to our authorities, through the Consul-General's office at Havana, stating that it had been discovered that Arguelles, with others, had been guilty of the crime of selling one hundred and forty-one of the cargo of negroes thus captured, into slavery, and by means of forged papers representing to the Government that they had died after being landed; stating also that his return to Cuba was necessary to procure the liberation of his hapless victims, and desiring to know whether the Government of the United States would cause him to be returned to Cuba. Documents authenticating the facts of the case were forwarded to our authorities. There being no extradition treaty between our country and Spain, the Cuban Government could take no proceedings before the courts in the matter, and the only question was whether our Government would take the responsibility of arresting Arguelles and sending him back or not. The Government determined to assume the responsibility, and sent word to the Cuban authorities that if they would send a suitable officer to New York, measures would be taken to place Arguelles in his charge. The officer was sent, and Arguelles having been arrested by the United States Marshal at New York, was, before any steps could be taken to appeal to any of the courts on his behalf, put on board a steamer bound for Havana. This proceeding caused great indignation until the facts were understood. Arguelles having money, had found zealous friends in New York, and a strong effort was made in his favor. It was stated on his behalf that, instead of being guilty of selling these negroes into slavery, it was the desire of the Cuban authorities to get possession of him and silence him, lest he should publish facts within his knowledge which implicated the authorities themselves in that nefarious traffic. And the fact that he was taken as he was, by direct order of the Government, not by any legal or judicial proceedings, and without having the opportunity to test before the courts the right of the Government thus to send back any one, however criminal, was alleged to spring from the same disregard of liberty and law in which the arbitrary arrests which had been made of rebel sympathizers were said to have had their source. Proceedings were even taken against the United States Marshal under a statute of the State of New York against kidnapping, and everywhere the enemies of the Administration found in the Arguelles case material for assailing it as having trampled upon the right of asylum, exceeded its own legal powers, insulted the laws and courts of the land, and endangered the liberties of the citizen; while the fact of its having aided in the punishment of an atrocious crime, a crime intimately connected with the slave-trade, so abhorrent to the sympathies of the people, was kept out of sight. Another incident used to feed the public distrust of the Administration, was the temporary suppression of two Democratic newspapers in the city of New York. On Wednesday, May 18th, these two papers, the World and the Journal of Commerce, published what purported to be a proclamation of President Lincoln. At this time, as will be recollected, General Grant was still struggling with Lee before Spottsylvania, with terrible slaughter and doubtful prospects, while Sigel had been driven back by Imboden, and Butler was held in check by Beauregard. This proclamation announced to the country that General Grant's campaign was virtually closed; and, "in view of the situation in Virginia, the disaster at Red River, the delay at Charleston, and the general state of the country," it appointed the 26th of May as a day of fasting, humiliation, and prayer, and ordered a fresh draft of four hundred thousand men. The morning of its publication was the day of the departure of the mails for Europe. Before its character was discovered, this forged proclamation, telegraphed all over the country, had raised the price of gold five or six per cent., and carried discouragement and dismay to the popular heart. The suppression of the papers by which it had been published, the emphatic denial of its authenticity, and the prompt adoption of measures to detect its author, speedily reassured the public mind. After being satisfied that the publication of the document was inadvertent, the journals seized were permitted to resume publication, the authors of the forgery were sent to Fort Lafayette, and public affairs resumed their ordinary course. But the action of the Government gave fresh stimulus to the partisan warfare upon it. As in the Arguelles case and the arbitrary arrests it had been charged with trampling upon the liberties of the citizen, so now it was charged with attacking the liberty of the press. Governor Seymour directed the District Attorney of New York to take measures for the prosecution and punishment of all who had been connected with shutting up the newspaper offices. The matter was brought before a grand-jury, which reported that it was inexpedient to examine into the subject." Determined not to be thus thwarted, Governor Seymour, alleging that the grand-jury had disregarded their oaths, directed the District Attorney to bring the subject before some magistrate. Warrants were accordingly issued by City Judge Russell for the arrest of General Dix and the officers who had acted in the matter. The parties voluntarily appeared before the judge, and an argument of the legal questions involved was had. The judge determined to hold General Dix and the rest for the action of the grand-jury. One grand-jury, however, had already refused to meddle with the matter, and, greatly to the disappointment of those who had aimed to place the State of New York in a position of open hostility to the Government of the United States, no further proceedings were ever taken in the matter. An effort was made to bring the subject up in Congress. Among other propositions, Mr. Brooks, of New York, proposed to add, as an amendment to a bill for the incorporation of a Newsboys' Home in the District of Columbia, a provision that no newspaper should be suppressed in Washington, or its editor incarcerated, without due process of law. He succeeded in making a speech abounding in denunciations of the Government, but had no other success. The slightest knowledge of arithmetic (said he) will prove to any man that the rebel armies cannot be destroyed by Democratic strategy. It would sacrifice all the white men of the North to do it. There are now in the service of the United States nearly two hundred thousand able-bodied colored men, most of them under arms, defending and ac	quiring Union territory. The Democratic strategy demands that these forces be disbanded, and that the masters be conciliated by restoring them to slavery. The black men who now assist Union prisoners to escape are to be converted into our enemies, in the vain hope of gaining the good-will of their masters. We shall have to fight two nations instead of one. You cannot conciliate the South if you guarantee to them ultimate success, and the experience of the present war proves their success is inevitable if you fling the compulsory labor of four millions of black men into their side of the scale. Will you give our enemies such military advantages as insure success, and then depend upon coaxing, flattery, and concession to get them back into the Union? Abandon all the forts now garrisoned by black men, take two hundred thousand men from our side, and put them in the battle-field, or cornfield, against us, and we would be compelled to abandon the war in three weeks. We have to hold territory in inclement and sickly places. Where are the Democrats to do this? It was a free fight, and the field was open to the War Democrats to put down this rebellion by fighting against both master and slave long before the present policy was inaugurated. There have been men base enough to propose to me to return to slavery our black warriors of Port Hudson and Olustee, and thus win the respect of the masters they fought. Should I do so, I should deserve to be damned in time and eternity. Come what will, I will keep my faith with friend and foe. My enemies pretend I am now carrying on this war for the sole purpose of abolition. So long as I am President it shall be carried on for the sole purpose of restoring the Union. But no human power can subdue this rebellion without the use of the emancipation policy, and every other policy calculated to weaken the moral and physical forces of the rebellion. Freedom has given us two hundred thousand men, raised on Southern soil. It will give us more yet. Just so much it has abstracted from the enemy; and instead of checking the South, there are evidences of a fraternal feeling growing up between our men and the rank and file of the rebel soldiers. Let my enemies prove to the country that the destruction of slavery is not necessary to the restoration of the Union. I will abide the issue. Aside from the special causes of attack which we have mentioned, others were brought forward more general in their character. The burdens of the war were made especially prominent. Every thing discouraging was harped upon and magnified, every advantage was belittled and sneered at. The call for five hundred thousand men in June was even deprecated by the friends of the Administration, because of the political capital which its enemies would be sure to make of it. Nor was Mr. Lincoln himself unaware that such would be the result, but, though recognizing the elements of dissatisfaction which it carried with it, he did not suffer himself to be turned aside in the least from the path which duty to his coutry required him to pursue. The men were needed, he said, and must be had, and should he fail as a candidate. for re-election in consequence of doing his duty to the country, he would have at least the satisfaction of going down with colors flying. Financial difficulties were also used in the same way. The gradual rise in the price of gold was pointed at as indicating the approach of that financial ruin which was surely awaiting the country, if the re-election of Mr. Lincoln should mark the determination of the people to pursue the course upon which they had entered. Amidst these assaults from his opponents, Mr. Lincoln seemed fairly entitled, at least, to the hearty support of all the members of his own party. And yet this very time was chosen by Senator Wade, of Ohio, and H. Winter Davis, of Maryland, to make a violent attack upon him for the course which he had pursued in reference to the Reconstruction Bill, which he had not signed, but had given his reasons for not signing, in his proclamation of July 18th. They charged him with usurpation, with presuming upon the forbearance of his supporters, with defeating the will of the people by an Executive perversion of the Constitution, &c., &c., and closed a long and violent attack by saying that if he wished their support he "must confine himself to his Executive duties--to obey and execute, not make the laws--to suppress by arms armed rebellion, and leave political reorganization to Congress." This manifesto, prepared with marked ability, and skilfully adapted to the purpose it was intended to serve, at first created some slight apprehension among the supporters of the President. But it was very soon felt that it met with no response from the popular heart, and it only served to give a momentary buoyancy to the hopes of the Opposition. NIAGARA FALLS, July 5, 1864. MY DEAR MR. GREELEY:--In reply to your note, I have to advise having just left Hon. George N. Sanders, of Kentucky, on the Canada side. I am authorized to state to you, for our use only, not the public, that two ambassadors of Davis & Co. are now in Canada, with full and complete powers for a peace, and Mr. Sanders requests that you come on immediately to me, at Cataract House, to have a private interview, or if you will send the President's protection for him and two friends, they will come on and meet you. He says the whole matter can be consummated by me, you, them, and President Lincoln. Telegraph me in such form that I may know if you come here, or they to come on with me. NEW YORK, July 7, 1864.MY DEAR SIR:--I venture to enclose you a letter and telegraphic dis	patch that I received yesterday from our irrepressible friend, Colorado Jewett, at Niagara Falls. I think they deserve attention. Of course I do not indorse Jewett's positive averment that his friends at the Falls have "full powers" from J. D., though I do not doubt that he thinks they have. I let that statement stand as simply evidencing the anxiety of the Confederates everywhere for peace. So much is beyond doubt. And therefore I venture to remind you that our bleeding, bankrupt, almost dying country also longs for peace--shudders at the prospect of fresh conscriptions, of further wholesale devastations, and of new rivers of human blood; and a wide-spread conviction that the Government and its prominent supporters are not anxious for peace, and do not improve proffered opportunities to achieve it, is doing great harm now, and is morally certain, unless removed, to do far greater in the approaching elections. It is not enough that we anxiously desire a true and lasting peace; we ought to demonstrate and establish the truth beyond cavil. The fact that A. H. Stephens was not permitted a year ago to visit and confer with the authorities at Washington has done harm, which the tone at the late National Convention at Baltimore is not calculated to counteract. I entreat you, in your own time and manner, to submit overtures for pacification to the Southern insurgents, which the impartial must pronounce frank and generous. If only with a view to the momentous election soon to occur in North Carolina, and of the draft to be enforced in the Free States, this should be done at once. I would give the safe-con	duct required by the rebel envoys at Niagara, upon their parole to avoid observation and to refrain from all communication with their sympathizers in the loyal States; but you may see reasons for declining it. But whether through them or otherwise, do not, I entreat you, fail to make the Southern people comprehend that you, and all of us, are anxious for peace, and prepared to grant liberal terms. I venture to suggest the following PLAN OF ADJUSTMENT. 1. The Union is restored and declared perpetual. 2. Slavery is utterly and forever abolished throughout the same. 3. A complete amnesty for all political offences, with a restoration of all the inhabitants of each State to all the privileges of citizens of the United States. 4. The Union to pay four hundred million dollars ($400,000,000) in five per cent. United States stock to the late Slave States, loyal and secession alike, to be apportioned pro rata, according to their slave population respectively, by the census of 1860, in compensation for the losses of their loyal citizens by the abolition of slavery. Each State to be entitled to its quota upon the ratification by its legislature of this adjustment. The bonds to be at the absolute disposal of the legislature aforesaid. 5. The said Slave States to be entitled henceforth to representation in the House on the basis of their total, instead of their federal population, the whole now being free. 6. A national convention, to be assembled so soon as may be, to ratify this adjustment, and make such changes in the Constitution as may bedeemed advisable. Mr. President, I fear you do not realize how intently the people desire any peace consistent with the national integrity and honor, and how joyously they would hail its achievement, and bless its authors. With United States stocks worth but forty cents in gold per dollar, and drafting about to commence on the third million of Union soldiers, can this be wondered at? I do not say that a just peace is now attainable, though I believe it to be so. But I do say that a frank offer by you to the insurgents of terms which the impartial say ought to be accepted will, at the worst, prove an immense and sorely needed advantage to the national cause. It may save us from a Northern insurrection. Hon. A. LINCOLN, President, Washington, D. C.
P. S.--Even though it should be deemed unadvisable to make an offer of terms to the rebels, I insist that, in any possible case, it is desirable that any offer they may be disposed to make should be received, and either accepted or rejected. I beg you to invite those now at Niagara to exhibit their credentials and submit their ultimatum. H. G.
WASHINGTON, D. C., July 9, 1864. DEAR SIR:--Your letter of the 7th, with enclosures, received. If you can find any person anywhere professing to have any proposition of Jefferson Davis, in writing, for peace, embracing the restoration of the Union and abandonment of slavery, whatever else it embraces, say to him he may come to me with you, and that if he really brings such prop	osition, he shall, at the least, have safe-conduct with the paper (and with	out publicity if he chooses) to the point where you shall have met him. The same if there be two or more persons. OFFICE OF THE TRIBUNE, NEW YORK, July 10, 1864. MY DEAR SIR:--I have yours of yesterday. Whether there be persons at Niagara (or elsewhere) who are empowered to commit the rebels by negotiation, is a question; but if there be such, there is no question at all that they would decline to exhibit their credentials to me, much more to open their budget and give me their best terms. Green as I may be, I am not quite so verdant as to imagine any thing of the sort. I have neither purpose nor desire to be made a confidant, far less an agent, in such negotiations. But I do deeply realize that the rebel chiefs achieved a most decided advantage in proposing or pretending to propose to have A. H. Stephens visit Washington as a peacemaker, and being rudely repulsed; and I am anxious that the ground lost to the national cause by that mistake shall somehow be regained in season for effect on the approaching North Carolina election. I will see if I can get a look into the hand of whomsoever may be at Niagara; though that is a project so manifestly hopeless that I have little heart for it, still I shall try. Meantime I wish you would consider the propriety of somehow apprising the people of the South, especially those of North Carolina, that no overture or advance looking to peace and reunion has ever been repelled by you, but that such a one would at. any time have been cordially received and favorably regarded, and would still be. This letter failed to reach the President until after the following one was received, and was never, therefore, specifically answered. OFFICE OF THE TRIBUNE, NEW YORK, July 13, 1864. I remain yours, HORACE GREELEY. CLIFTON HOUSE, NIAGARA FALLS, CANADA WEST, July 12, 1864. DEAR SIR:--I am authorized to say that Honorable Clement C. Clay, of Alabama, Professor James P. Holcombe, of Virginia, and George N. Sanders, of Dixie, are ready and willing to go at once to Washington, upon complete and unqualified protection being given either by the President or Secretary of War. Let the permission include the three names and one other. EXECUTIVE MANSION, WASHINGTON, July 15, 1864. HON. 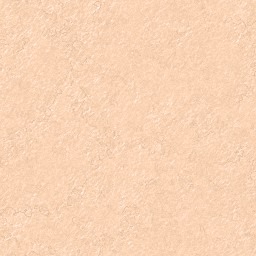 HORACE GREELEY, New York:--I suppose you received my letter of the 9th. I have just received yours of the 13th, and am disappointed by it. I was not expecting you to send me a letter, but to bring me a man, or men. Mr. Hay goes to you with my answer to yours of the 13th. MY DEAR SIR:--Yours of the 13th is just received, and I am disappointed that you have not already reached here with those commisioners. If they would consent to come, on being shown my letter to you of the 9th instant, show that and this to them, and if they will come on the terms stated in the former, bring them. I not only intend a sincere effort for peace, but I intend that you shall be a personal witness that it is made. UNITED STATES MILITARY TELEGRAPH, WAR DEPARTMENT, NEW YORK, 9 A.M., July 16, 1864. Arrived this morning at 6 A.M., and delivered your letter few minutes after. Although he thinks some one less known would create less excitement and be less embarrassed by public curiosity, still he will start immediately if he can have an absolute safe-conduct for four persons to be named by him. Your letter he does not think will guard them from arrest, and with only those letters he would have to explain the whole matter to any officer who might choose to hinder them. If this meets with your approbation, I can write the order in your name as A. A.-G. or you can send it by mail. Please answer me at Astor House. EXECUTIVE, MANSION, WASHINGTON, July 16, 1864. Yours received. Write the safe-conduct as you propose, without wait	ing for one by mail from me. If there is or is not any thing in the affair, I wish to know it without unnecessary delay. A. LINCOLN. shall have safe-conduct to the City of Washington in company with the Hon. Horace Greeley, and shall be exempt from arrest or annoyance of any kind from any officer of the United States during their journey to the said City of Washington. JOHN HAY, Major and A. A.-G.
NIAGARA FALLS, N. Y., July 17, 1864. To Messrs. CLEMENT C. CLAY, JACOB THOMPSON, JAMES P. HOLCOMBE, Clifton House, C. W.
CLIFTON HOUSE, NIAGARA FALLS, July 18, 1864. SIR:--We have the honor to acknowledge your favor of the 17th inst., which would have been answered on yesterday, but for the absence of Mr. Clay. The safe-conduct of the President of the United States has been tendered us, we regret to state, under some misapprehension of facts. We have not been accredited to him from Richmond, as the bearers of propositions looking to the establishment of peace. We are, however, in the confidential employment of our Government, and are entirely familiar with its wishes and opinions on that subject; and we feel authorized to declare, that if the circumstances disclosed in this correspondence were communicated to Richmond, we would be at once invested with the authority to which your letter refers, or other gentlemen, clothed with full powers, would be immediately sent to Washington with a view of hastening a consummation so much to be desired, and terminating at the earliest possible moment the calamities of the war. We respectfully solicit, through your intervention, a safe-conduct to Washington, and thence by any route which may be designated through your lines to Richmond. We would be gratified if Mr. George Sanders was embraced in this privilege. Permit us, in conclusion, to acknowledge our obligations to you for the interest you have manifested in the furtherance of our wishes, and to express the hope that, in any event, you will afford us the opportunity of tendering them in person before you leave the Falls. C. C. CLAY, JR. J. P. HOLCOMBE. P. S.--It is proper to state that Mr. Thompson is not here, and has not been staying with us since our sojourn in Canada. INTERNATIONAL HOTEL, NIAGARA FALLS, N. Y., July 18, 1864. GENTLEMEN:--I have the honor to acknowledge the receipt of yours of this date by the hand of Mr. W. C. Jewett. The state of facts therein presented being materially different from that which was understood to exist by the President when he intrusted me with the safe-conduct required, it seems to me on every account advisable that I should communicate with him by telegraph, and solicit fresh instructions, which I shall at once proceed to do. I hope to be able to transmit the result this afternoon, and at all events I shall do so at the earliest moment. To Messrs. CLEMENT C. CLAY and JAMES P. HOLCOMBE, Clifton House, C. W.
SIR:--We have the honor to acknowledge the receipt of your note of this date by the hands of Colonel Jewett, and will await the further answer which you propose to send to us. (Signed) C. C. CLAY, JR. INDEPENDENT TELEGRAPH LINE, NIAGARA FALLS, July 18, 1864.
INTERNATIONAL HOTEL, NIAGARA FALLS, NEW YORK, July 19, 1864. I remain yours truly, HORACE GREELEY. To Hon. Messrs. C. C. CLAY, JR., and J. P. HOLCOMBE, Clifton House, C. W.
CLIFTON HOUSE, NIAGARA FALLS, July 19, 1864. SIR:-- Colonel Jewett has just handed us your note of this date, in which you state that further instructions from Washington will reach you by noon to-morrow, if there be no interruption. One, or possibly both of us, may be obliged to leave the Falls to-day, but will return in time to receive the communication which you promise to-morrow. JAMES P. HOLCOMBE. C. C. CLAY, JR.
To the Hon. HORACE GREELEY, now at the International Hotel. EXECUTIVE MANSION, WASHINGTON, July 18, 1864. Any proposition which embraces the restoration of peace, the integrity of the whole Union, and the abandonment of slavery, and which comes by and with an authority that can control the armies now at war against the United States, will be received and considered by the Executive Government of the United States, and will be met by liberal terms on substantial and collateral points, and the bearer or bearers thereof shall have safe conduct both ways. Major Hay arrived at Niagara on the 20th of July, and went with Mr. Greeley across to the Clifton House, where he delivered to Professor Holcombe the above paper, in the President's own handwriting. The interview was a brief one, and on separating, Mr. Greeley returned to New York, leaving Major Hay to receive their answer, if there should be one. NIAGARA FALLS, CLIFTON HOUSE, July 21. EXECUTIVE MANSION, WASHINGTON, D. C., July 18, 1864. Any proposition which embraces the restoration of peace, the integrity of the whole Union, and the abandonment of slavery, and which comes by and with an authority that can control the armies now at war against the United States, will be received and considered by the Executive Government of the United States, and will be met by liberal terms on other substantial and collateral points, and the bearer or bearers therof shall have safe-conduct both ways. The application to which we refer was elicited by your letter of the 17th inst., in which you inform Mr. Jacob Thompson and ourselves, that you were authorized by the President of the United States to tender us his safe-conduct on the hypothesis that we were "duly accredited from Richmond, as bearers of propositions looking to the establishment of peace," and desired a visit to Washington in the fulfilmeut of this mission. This assertion, to which we then gave, and still do, entire credence, was accepted by us as the evidence of an unexpected but most gratifying change in the policy of the President--a change which we felt authorized to hope might terminate in the conclusion of a peace, mutually just, honorable, and advantageous to the North and to the South, exacting no condition, but that we should be "duly accredited from Richmond as bearers of propositions looking to the establishment of peace," thus proffering a basis for conference as comprehensive as we could desire. It seemed to us that the President opened a door, which had previously been closed against the Confederate States for a full interchange of sentiments, free discussion of conflicting opinions, and untrammelled effort to remove all causes of controversy by liberal negotiations. We indeed could not claim the benefit of a safe-conduct which had been extended to us in a character we had no right to assume, and had never affected to possess; but the uniform declaration of our Executive and Congress, and their thrice repeated and as often repulsed attempts to open negotiations, furnish a sufficient pledge to assure us that this conciliatory manifestation on the part of the President of the United States would be met by them in a temper of equal magnanimity. We had therefore no hesitation in declaring that if this correspondence was communicated to the President of the Confederate States, he would promptly embrace the opportunity presented for seeking a peaceful solution of this unhappy strife. We feel confident that you must share our profound regret that the spirit which dictated the first step towards peace had not continued to animate the counsels of your President. Had the representatives of the two Governments met to consider this question, the most momentous ever submitted to human statesmanship, in a temper of becoming moderation and equity, followed as their deliberations would have been by the prayers and benedictions of every patriot and Christian on the habitable globe, who is there so bold as to pronounce that the frightful waste of individual happiness and public prosperity, which is daily saddening the universal heart, might not have been terminated, or if the desolation and carnage of war must still be endured through weary years of blood and suffering, that there might not at least have been infused into its conduct something more of the spirit which softens and partially redeems its brutalities? 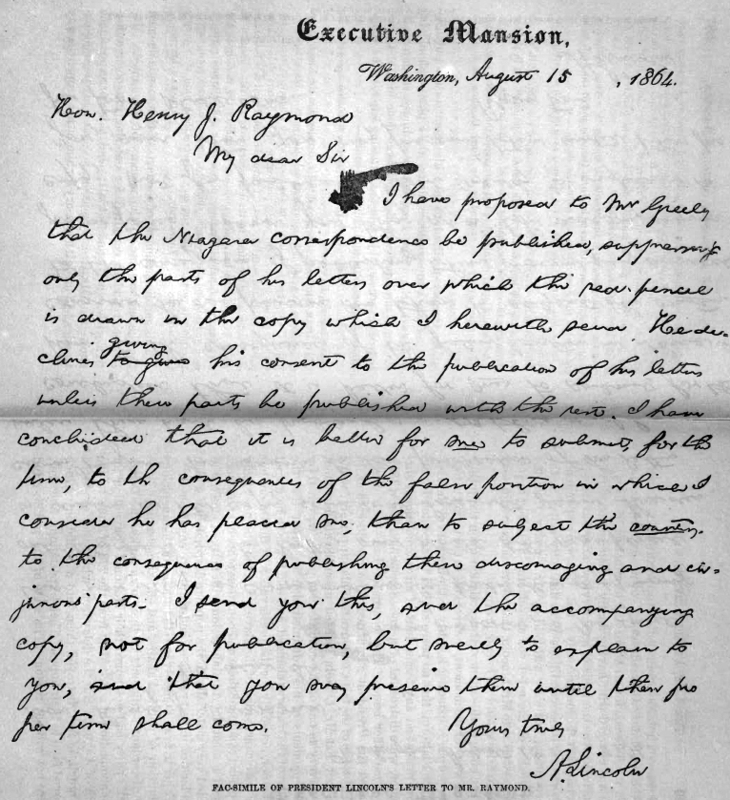 Instead of the safe-conduct which we solicited, and which your first letter gave us every reason to suppose would be extended for the purpose of initiating a negotiation in which neither Government would compromise its rights or its dignity, a document has been presented which provokes as much indignation as surprise. It bears no feature of resemblance to that which was originally offered, and is unlike any paper which ever before emanated from the constitutional Executive of a free people. Addressed "to whom it may concern," it precludes negotiation, and prescribes in advance the terms and conditions of peace. It returns to the original policy of "no bargaining, no negotiations, no truces with rebels, except to bury their dead, until every man shall have laid down his arms, submitted to the Government, and sued for mercy." What may be the explanation of this sudden and entire change in the views of the President, of this rude withdrawal of a courteous overture for negotiation at the moment it was likely to be accepted, of this emphatic recall of words of peace just uttered, and fresh blasts of war to the bitter end, we leave for the speculation of those who have the means or inclination to penetrate the mysteries of his cabinet, or fathom the caprice of his imperial will. It is enough for us to say that we have no use whatever for the paper which has been placed in our hands. We could not transmit it to the President of the Confederate States without offering him an indignity, dishonoring ourselves, and incurring the well	merited scorn of our countrymen. Whilst an ardent desire for peace pervades the people of the Confederate States, we rejoice to believe that there are few, if any, among them, who would purchase it at the expense of liberty, honor, and self-respect. If it can be secured only by their submission to terms of conquest, the generation is yet unborn which will witness its restitution. If there be any military autocrat in the North, who is entitled to proffer the conditions of this manifesto, there is none in the South authorized to entertain them. Those who control our armies are the servants of the people, not their masters, and they have no more inclination than they have right to subvert the social institutions of the sovereign States, to overthrow their established constitutions, and to barter away their priceless heritage of self-government. This correspondence will not, however, we trust, prove wholly barren of good results. Your obedient servants, C. C. CLAY, JR. JAMES P. HOLCOMBE. CLIFTON HOUSE, NIAGARA FALLS, July 20, 1864.
INTERNATIONAL HOTEL, NIAGARA FALLS, July 20, 1864. To W. C. JEWETT, Esq. In their note of July 20, to Mr. Jewett, enclosing their final letter to Mr. Greeley, the rebel emissaries acknowledge the assurance, received from Mr. Jewett, that Mr. Greeley "regrets the sad termination of the initiatory steps taken for peace, in consequence of the change made by the President in his instructions to convey commissioners to Washington for negotiations unconditionally." The Commissioners must have misunderstood Mr. Jewett, or Mr. Jewett must have misrepresented. Mr. Greeley, in this report of the ground of his "regrets," or else Mr. Greeley must have taken a position quite at variance with the facts of the case. Mr. Greeley could scarcely have believed that the President had "changed his instructions" in the least degree; and he must have known that the result of the attempted negotiation was due to a wholly different cause. "If you can find any person professing to have any proposition of Jefferson Davis, in writing, for peace, embracing the restoration of the Union, and abandonment of slavery, whatever else it embraces, say to him that he may come to me." "If they would consent to come, on being shown my letter to you of the 9th inst. [in which the conditions of their coming were distinctly stated], show that and this to them, and if they will come on the terms stated in the former, bring them." Notwithstanding these explicit and peremptory instructions, it does not appear that Mr. Greeley gave the rebel agents any information whatever as to the "terms" of their being received, nor did he show them either of the President's two letters in which these terms were stated. But he proceeded to make arrangements for their visit to Washington, and went to Niagara Falls to bear them company. There he addressed them a letter on the 17th of July, saying that, if it was true, as he had been informed, that they were "duly accredited from Richmond as the bearers of propositions looking to the establishment of peace, and in the fulfilment of their mission," he was "authorized by the President of the United States to tender them his safe-conduct on the journey proposed." Mr. Greeley was not authorized to tender these agents a safe-conduct to Washington upon any such terms, but only on certain other conditions which he concealed from the agents, and of which he took no notice whatever, either in his correspondence with them or with the President. Their reply to him, however, corrected his impression that they were "duly accredited" from Richmond to negotiate for peace. They had no authority of the kind, but expressed their belief that they could get it, and, upon this presumption, renewed their solicitations for a safe-conduct to Washington. On the 18th, Mr. Greeley wrote to the President communicating this information, but still making no allusion whatever to the conditions imposed upon their being received. The President, meantime, not understanding the cause of delay in their arrival, sent Major Hay, his private secretary, to communicate directly with "any persons" professing to have authority from Davis to treat for peace, and to inform them, as he had twice before instructed Mr. Greeley to inform them, that any proposition for peace, in order to be received and considered by him, must embrace "the restoration of peace, the integrity of the whole Union, and the abandonment of slavery." These instructions were embodied in the letter addressed "to whom it may concern"--and were delivered by Major Hay in person to the rebel agents. As it was the first they had ever heard of any "conditions," and as they had been informed by Mr. Greeley that he was instructed by the President to tender them safe-conduct to Washington, without any mention of conditions--they were of course taken by surprise, and naturally enough attributed to the President the "sudden and entire change of views" with which they reproach him in their letter to Mr. Greeley of July 21st. And strangely enough, even after receiving this letter and being thus apprised of the charge brought against the President, Mr. Greeley not only failed to relieve him from it by making public the facts, but joined in ascribing to Mr. Lincoln the failure of negotiations for peace and the consequent prolongation of the war. And, according to Mr. Jewett's statement, Mr. Greeley also authorized him to express to the rebel commissioners his regrets, that the negotiation should have failed in consequence of the President's change of views." It is not easy now, any more than it was then, to reconcile Mr. Greeley's action in this matter with fidelity to the Union cause, or with good faith to the Administration, by which alone that cause was maintained. The Opposition press made Mr. Lincoln's alleged tergiversation the ground of fresh and vehement attack, while it was used throughout the rebel States as fresh proof of the faithless character of the Federal Government, and of the absolute impossibility of making peace except by successful war. The commissioners themselves made a very adroit use of the advantage which Mr. Greeley's extraordinary course had placed in their hands, and, in their letter of July 21st, addressed to him, but intended to be a public impeachment of President Lincoln's honor and good faith, made a powerful and effective appeal to the indignant pride of the Southern people and the sympathy of their friends in the Northern States. In the second paragraph: the words "and therefore I venture to re	mind you that our bleeding, bankrupt, almost dying country also longs for peace, shudders at the prospect of fresh conscriptions, of further wholesale devastations, and of new rivers of human blood, and:"--also the words "now, and is morally certain, unless removed, to do far greater in the approaching elections." In the fourth paragraph, the words "If only with a view to the momentous election soon to occur in North Carolina and of the draft to be enforced in the Free States, this should be done." In the last paragraph, the words "It may save us from a Northern insurrection. In the letter of July 10th, second paragraph, the words "in season for effect on the approaching North Carolina election;" and in the last paragraph, the words "especially those of North Carolina." And in the letter of July 13th, last paragraph, the words "that a good influence may even yet be exerted on the North Carolina election next month." EXECUTIVE MANSION, WASHINGTON August 15, 1864. My DEAR SIR:--I have proposed to Mr. Greeley that the Niagara correspondence be published, suppressing only the parts of his letters over which the red-pencil is drawn in the copy which I herewith send. He declines giving his consent to the publication of his letters unless these parts be published with the rest. I have concluded that it is better for me to submit, for the time, to the consequences of the false position in which I consider he has placed me, than to subject the country to the consequences of publishing these discouraging and injurious parts. I send you this, and the accompanying copy, not for publication, but merely to explain to you, and that you may preserve them until their proper time shall come. This public statement of the facts of this case is deemed by the author due to the memory of Mr. Lincoln. He has been widely censured for entering into communication with rebel agents at all;--but this correspondence shows that Mr. Greeley's assurances, and his pressing entreaties, had made it necessary for him, either to open the way for peace negotiations or reject the opportunity, which one. of the most influential leaders of his own party thus assured him was offered, for an honorable termination of the war. He was charged with having finally insisted upon certain concessions as the basis of an interview, after having first promised it unconditionally; but this correspondence shows that these conditions were distinctly stated at the very outset, but were withheld by Mr. Greeley from the knowledge of the rebel commissioners. It is due to justice, as well as to Mr. Lincoln, that impressions so injurious and so false should no longer prevail. The effect of this attempt at negotiation upon the public mind was, for the moment, unfavorable to the Union cause. The people, responding heartily to the demand of the Baltimore Platform, that no peace should be accepted by the Government on any terms short of an unconditional surrender, were distrustful of negotiations which might look to some other issue. The charge of bad faith urged against the President stimulated the Opposition, and, in the absence of the facts, embarrassed his supporters; while the fact that Mr. Lincoln insisted upon the abandonment of slavery as one of the conditions of peace, was cited by the opponents of his Administration as proof that the object of the war was changed, and that it was to be waged hereafter, not solely for the preservation of the Union, but for the emancipation of the slaves. In the absence of any opposing candidate, these and countless other charges were urged against the Administration with marked effect, and added very materially to the popular despondency which the lack of military success had naturally engendered. Eager to avail themselves to the utmost of this auspicious condition of political affairs, and embarrassed not a little by discordant sentiments in their own ranks, the Democratic party had postponed their National Convention for the nomination of a President from the 22d of June to the 29th of August. But the delay from which they expected so much, in fact, betrayed them into a confidence which proved fatal to their hopes. Their expectations, however, were not without reason. The state of the public mind was favorable to the success of their plans. The assaults upon the Administration had grown more virulent, and seemed to produce more effect. Many of its friends, who, when Mr. Lincoln was renominated, had considered the main work of the political campaign over, had grown gradually doubtful. The uncertainty as to the course which the Democratic party would pursue compelled them almost to inaction, at least so far as offensive warfare was concerned, while they were themselves exposed to every kind of attack. And when the time for the Chicago Convention came, its managers gathered to it with high hopes, believing that if they could only unite upon a candidate and a platform which should not violently offend either wing of the party, their success was certain. The peace wing of the party, however, had been relatively strengthened in the interim. The delays and losses of the armies, the hope deferred to which the long and bloody struggles in Virginia and in Georgia had familiarized but not inured the popular heart, the rise in gold, the call for five hundred thousand more men--all these things had given them strength, and made them more vehement and more exacting. Their great champion, Mr. Vallandigham, had surreptitiously returned from Canada, in violation of the sentence which ordered his banishment from the lines during the war, and had remained in open defiance of the Government, whose failure to arrest and send him back, or otherwise to punish him, was treated then as an indication of weakness rather than of wisdom. He and his friends were active everywhere, and did not hesitate to declare that they must have a peace candidate, or platform, one or both, at all hazards, and threatened to nominate a candidate of their own, if this course was not pursued. It cannot be doubted that the fatal course which was finally adopted by the Convention was largely due to the efforts of Mr. Vallandigham, and to the encouragement which his friends received from the apparent unwillingness of the Government to molest him on his return. The Convention met in Chicago on Monday, August 29. It was called to order by August Belmont, of New York, the Chairman of the National Committee, on whose motion Ex-Governor Bigler, of Pennsylvania, was appointed temporary Chairman. The business transacted on the first day embraced the appointment of Committees on Credentials, Organization, and Resolutions, of which latter committee Mr. Vallandigham was chosen chairman. On Tuesday the committees reported. There were no contested delegations except from Kentucky, and this question the committee settled by admitting both delegations and dividing the vote between them. Louisiana and the Territories had sent delegates, but these were at once excluded. Governor Horatio Seymour, of New York, was chosen President of the Convention, with twenty-one vice-presidents and secretaries. In the afternoon, the platform was reported. Resolved, That this Convention does explicitly declare, as the sense of the American people, that after four years of failure to restore the Union by the experiment of war, during which, under the pretence. of military necessity or war power higher than the Constitution, the Constitution itself has been disregarded in every part, and public liberty and private right alike trodden down, and the material prosperity of the country essentially impaired, justice, humanity, liberty, and the public welfare demand that immediate efforts be made for a cessation of hostilities, with a view to an ultimate convention of the States or other peaceable means, to the end that, at the earliest practicable moment, peace may be restored on the basis of the Federal Union of the States. The other resolutions assailed the Administration for its military interference in elections, its arbitrary arrests, suppression of freedom of speech and of the press, denial of the right of asylum, imposing test-oaths, taking away arms from the people (as had been done where there was danger of armed insurrection on the part of local associations), and disregard of duty towards our soldiers who were prisoners of war; and they extended "the sympathy of the Democratic party" to the soldiers and the sailors. Mr. Long, of Ohio, who, as will be recollected, had been publicly censured by Congress for a speech bordering upon treason, endeavored to amend the resolutions so as to "place the Convention in a position favoring peace beyond the mistakes of any equivocal language." Under the working of the previous question, however, Mr. Long was silenced, and the resolutions were adopted with but four dissenting votes. The Convention then proceeded to the nomination of a candidate for President. The nomination of General McClellan was the signal for a fierce attack upon him by some of the ultra peace men, but he was vigorously defended, and the debate lasted till darkness compelled an adjournment. The vote was taken, as soon as the Convention met in the morning, and General McClellan received one hundred and sixty-two votes out of two hundred and twenty-eight, and this number was increased to two hundred and two and a half before the ballot was announced; the rest having been cast for Thomas H. Seymour, of Connecticut. For Vice-President, the Convention nominated George H. Pendleton, of Ohio, whose position was unqualifiedly among the ultra peace men. Resolved, That this Convention shall not be dissolved by adjournment at the close of its business, but shall remain organized, subject to be called at any time and place that the Executive National Committee shall designate. This suggestive resolution was unanimously adopted, and the Convention then separated. The action of the Convention was eminently cheering to the friends of the Administration. It was more open and honest than they had anticipated; it avowed sentiments which, though entertained, it was feared would be concealed. The whole tone of the Convention had been in opposition to the popular feeling on the war. The ultra peace men had been prominent in its deliberations. Vallandigham, Harris, Long, Pendleton, men who had done their utmost to help on the rebellion and hamper the Government, had been its ruling spirits. The tone of its speeches had been in entire sympathy with the rebels, for whom no words of reproof were uttered, while they were unmeasured in their denunciation of Mr. Lincoln and his Administration. The news of the fall of Fort Morgan had come in upon them as they sat in conclave, but it won no cheers from that assembly for the success of the Old Flag and the leaf of imperishable renown which added to the full wreath of laurel, which already crowned our army and our navy. Its resolutions had declared that the war was a failure, and called for an immediate cessation of hostilities; while, as a striking commentary upon this declaration, the very day after the Convention adjourned brought the news of the fall of Atlanta and the glorious success of that grand march of Sherman's army which turned the tide of war, and contributed so largely to its final success. The Union party instantly and joyfully accepted the issue thus boldly tendered. They knew that, once fairly before the country, the result could not be doubtful. The people did not believe that the effort to maintain the Union by force of arms had yet proved "a failure." They did not believe that the Union could be preserved by negotiation, and they were not in favor of a cessation of hostilities until victory should be secured. The issue had been fairly made between the two parties in their respective declarations at Baltimore and Chicago. The former demanded a vigorous prosecution of the war, and denounced all terms of peace short of an unconditional surrender of the rebels; the latter demanded a suspension of hostilities and a resort to negotiation. The great body of the Democratic party throughout the country, sympathizing with the national sentiment, felt that they had been placed in a false position by the action of their convention. An effort was made to stem the rising tide of public condemnation by General McClellan, their candidate for the Presidency, in his letter of acceptance. He declared himself in favor of preserving the Union by a vigorous prosecution of the war, if all the "resources of statesmanship," which should be first employed, should prove inadequate. The letter, however, was without effect. It did something to alienate the peace men who had controlled the Chicago Convention, but nothing to disturb the conviction of the people that the same men would control General McClellan also in the event of his election. The political campaign was thus fairly opened. The Fremont movement, which had but little strength from the start, now came to an inglorious end. Shortly before the meeting of the Chicago Convention, some friends of General Fremont, with some faint hope of compelling Mr. Lincoln to withdraw, had written to the General to know if he would withdraw from the canvass, provided Mr. Lincoln would do so. In reply, General Fremont, saying that he had no right to act independently of the men who nominated him, suggested that some understanding should be had between the supporters of the Baltimore and Cleveland Conventions, with a view to the convocation of a third convention; for, as he said, "a really popular convention, upon a broad and liberal basis, so that it could be regarded as a convocation in mass of the people, and not the work of politicians, would command public confidence." The proposition, however, commanded not the slightest attention; and after the Democratic nomination was made, the lines were drawn so closely that the pressure of public sentiment compelled the absolute withdrawal of General Fremont, which took place on the 21st of September. From that time forward the contest was between Mr. Lincoln, representing the sentiments of the Baltimore Platform on the one hand, and General McClellan, representing the sentiments of the Chicago Platform on the other. The lines were clearly drawn, and the canvass was prosecuted with earnestness, but with less than the usual acrimony and intemperate zeal. It was felt to be a contest of principle, and was carried on with a gravity and decorum befitting its importance. In county and State elections, must citizens of Tennessee take the oath prescribed by Governor Johnson, or will the President's oath of amnesty entitle them to vote? I have been appointed to hold the March election in Cheatham County, and wish to act understandingly. In county elections you had better stand by Governor Johnson's plan; otherwise you will have conflict and confusion. I have seen his plan. This election was held with but indifferent success. A convention was also held in May at Knoxville, but took no important action. But, in September, another convention was called together for the purpose of reorganizing the State and taking part in the approaching Presidential election. The convention met, and determined that the election should be held. They adopted an electoral ticket, and provided for ascertaining the qualifications of voters. Among other things, they provided a stringent oath, to be administered to registers and officers holding the elections, and requested Governor Johnson to execute the resolutions which they had adopted "in such manner as he might think would best subserve the interests of the Government." "I solemnly swear that I will henceforth support the Constitution of the United States, and defend it against the assaults of all enemies: that I am an active friend of the Government of the United States, and the enemy of the so-called Confederate States: that I ardently desire the suppression of the present rebellion against the Government of the United States: that I sincerely rejoice in the triumph of the armies and navies of the United States, and in the defeat and overthrow of the armies, navies, and of all armed combinations in the interest of the so-called Con	federate States: that I will cordially oppose all armistices and negotiations for peace with rebels in arms, until the Constitution of the United States, and all laws and proclamations made in pursuance thereof, shall be established over all the people of every State and Territory embraced within the National Union; and that I will heartily aid and assist the loyal people in whatever measures may be adopted for the attainment of these ends: and further, that I take this oath freely and voluntarily, and without mental reservation. So help me God." An electoral ticket in favor of General McClellan had previously been nominated by persons not in sympathy with the State Convention, nor with the National Administration, and these gentlemen, on the appearance of this proclamation, drew up a protest, which they addressed to the President. They protested against Governor Johnson's assuming to dictate the qualifications of voters, which they said were prescribed by the laws of Tennessee, a copy of which they annexed; and they protested against the oath. This protest was presented to the President by Mr. J. Lellyet one of the signers, who sent to a New York newspaper the following account of the interview. "May I inquire how long it took you and the New York politicians to concoct that paper?" I replied, "It was concocted in Nashville, without communication with any but Tennesseans. We communicated with citizens of Tennessee out	side of Nashville, but not with New York politicians." "I will answer," said Mr. Lincoln, emphatically, "that I expect to let the friends of George B. McClellan manage their side of this contest in their own way, and I will manage my side of it in my way." "May we ask an answer in writing?" I suggested. "Not now. Lay those papers down here. I will give no other answer now. I may or I may not write something about this hereafter. I understand this. I know you intend to make a point of this. But go ahead, you have my answer." "Your answer then is that you expect to let General McClellan's friends manage their side of the contest in their own way, and you will manage your side of it in your way?" EXECUTIVE MANSION, WASHINGTON, D. C., October 22, 1864. Gentlemen:--On the 15th day of this month, as I remember, a printed paper manuscript, with a few manuscript interlineations, called a protest, with your names appended thereto, and accompanied by another printed paper, purporting to be a proclamation by Andrew Johnson, Military Governor of Tennessee, and also a manuscript paper, purporting to be extracts from the Code of Tennessee, were laid before me. At the time these papers were presented, as before stated, I had never seen either of them, nor heard of the subject to which they relate, except in a general way one day previously. Up to the present moment, nothing whatever upon the subject has passed between Governor Johnson, or any one else, connected with the proclamation, and myself. Since receiving the papers, as stated, I have given the subject such brief consideration as I have been able to do, in the midst of so many pressing public duties. My conclusion is, that I can have nothing to do with the matter, either to sustain the plan as the convention and Governor Johnson have initiated it, or to revoke or modify it as you demand. By the Constitution and laws, the President is charged with no duty in the Presidential election in any State, nor do I in this case perceive any military reason for his interference in the matter. The movement set on foot by the convention and Governor Johnson does not, as seems to be assumed by you, emanate from the National Executive. In no proper sense can it be considered other than an independent movement of, at least, a portion of the loyal people of Tennessee. I do not perceive in the plan any menace, or violence, or coercion towards any one. Governor Johnson, like any other loyal citizen of Tennessee, has the right to favor any political plan he chooses, and, as military governor, it is his duty to keep the peace among and for the loyal people of the State. I cannot discern that by this plan he purposes any more. But you object to the plan. Leaving it alone will be your perfect security against it. It is not pro	posed to force you into it. Do as you please, on your own account, peaceably and loyally, and Governor Johnson will not molest you, but will protect you against violence as far as in his power. I presume that the conducting of a Presidential election in Tennessee in strict accordance with the old code of the State, is not now a possibility. It is scarcely necessary to add, that if any election shall be held and any votes shall be east in the State of Tennessee for President and Vice-President of the United States, it will not belong to the military agents, nor yet to the Executive Department, but exclusively to another department of the Government, to determine whether they are entitled to be counted in conformity with the Constitution and laws of the United States. Except it be to give protection against violence, I decline to interfere in any way with any Presidential election. The signers of the protest thereupon declared the McClellan electoral ticket withdrawn. And this incident was made the basis of fresh attacks upon the President for interfering in the election. UNITED STATES TREASURY, WASHINGTON, October 13.
" Jeff. Davis's salary is nominally twenty-five thousand a year, but by the depreciation of the Confederate money is equal to about fifteen hundred dollars, and on this practically he has to live. Abraham Lincoln's salary is legally twenty-five thousand dollars a year. But his legal-tender money, having depreciated to less than half its nominal value, he refuses to take, and demands and receives his pay in gold or gold certificates, while the soldiers of his army have to take their pay in greenbacks. Isn't this pa	triotic and honest in Old Abe, and ought not he to be re-elected to another four years' hard money for himself, and of largely depreciated money for the people?" Now, this story is perhaps as true as other slanders that have been heaped upon the head of Mr. Lincoln by his malignant Copperhead and traitor enemies, North and South. The facts in the case, however, are entirely at variance with, and the very reverse of, the statements made in the article quoted. The salary of the President is, in accordance with law, paid in warrant drafts on the Treasury of the United States for the amount, less the income tax, which have been sent him regularly monthly. Instead of drawing his money on these drafts, he has been in the habit of leaving it for a long time without interest. In one case all his salary so remained for eleven months. On several occasions I solicited the President to draw what was due him, urging that he was losing largely in interest on the amount due him. He asked me, "Who gains my loss?" On my answering, "The United States," he replied, "Then as it goes for the good of the country, let it remain. The Treasury needs it more than I do." Having at length satisfied the President that it was necessary to the closing of my annual accounts that the drafts on the Treasury that he held should be presented and paid, he indorsed and handed them to me. I drew the amount in United States notes, and placed it to his credit as a temporary loan at five per cent. per annum, payable, principal and interest, in green	backs. Since then his salary has been from time to time mostly invested in the stocks of the United States, purchased at current rates by his friends for him. The interest of these stocks is payable in coin. When this interest became due, I tried to induce him to draw it. Failing in doing so, the amount due him was sent by Honorable John O. Underwood, Judge of the United States Court for the District of Virginia. The result of his interview with the President is best told in the letter of Judge Underwood to me, which is herewith enclosed to you. I have caused an investigation to be made of the transactions of the President with the receipt of his salary, and the investment of the sums in United States stocks, and enclose you herewith the letter of Leroy Tuttle, Esq., the Assistant Cashier, from which it appears that Mr. Lincoln, from his forbearance in collecting his dues, has lost at least four thousand dollars, and which he has virtually given to the people of the United States. I have great doubts as to the propriety of answering this foul falsehood, well knowing that others perhaps even grosser will be made, so as to keep the Union party on the defensive, and thus preventing the loyal men of the country from attacking the peace	at-any-price Democracy for their damning heresies and treasonable practices. You, however, ask me to make the statement and to put it in an official form. I have therefore done so, and I authorize you to use it and the accompanying letters, or any part of either, in any way that may seem best calculated to place the President and his calumniators in their true light and positions before the American people. F. E. SPINNER, U. S. Treasurer. To General D. W. O. CLARKE, Burlington, Vermont. We may say here, that this gift of money to the cause of the country was not the only way in which Mr. Lincoln shared in the burdens of the war. He set an example to his fellow-citizens, also, by sending a representative recruit to the army. EXECUTIVE MANSION, WASHINGTON, September 23, 1864. MY DEAR SIR:--You have generously said to me, more than once, that whenever your resignation could be a relief to me, it was at my disposal. The time has come. You very well know that this proceeds from no dissatisfaction of mine with you personally or officially. Your uniform kindness has been unsurpassed by that of any other friend, and while it is true that the war does not so greatly add to the difficulties of your department as to those of some others, it is yet much to say, as I most truly can, that in the three years and a half during which you have administered the General Post-Office, I remember no single complaint against you in connection therewith. The political canvass was prosecuted with energy and confidence in every section of the country. The main consideration which was pressed upon the public mind was, that the defeat of Mr. Lincoln would be, in the eyes of the rebels, an explicit disapproval of the general line of policy he had pursued, and a distinct repudiation by the people of the Northern States of the Baltimore declaration, that the war should be prosecuted to the complete and final overthrow of the rebellion. This view of the case completely controlled the sentiment and action of the people, and left little room or disposition for wrangling over the many petty issues to which such a contest gives birth. As the canvass advanced the confidence of success increased, and received a still further impulse from the grand military victories which, in quick succession, began to crown the Union arms. During the months of September and October, General Hood, in a vain endeavor to regain the ground lost by the fall of Atlanta, made a movement upon General Sherman's communications. He might have caused some trouble, if it had not been for the gallant defence of Alatoona, by General Corse, which enabled Sherman to adopt such measures as drove Hood away from his line of communication, into the northern part of Alabama, where he gathered his forces for that fatal march which led his army to be crushed upon the heights of Nashville. General Grant had not been idle before Petersburg during this time. Several attacks had been made by our forces both on the north side of the James and towards the south of Petersburg, resulting in steady gains for Grant's operations. But the most important of all were the brilliant victories gained by General Sheridan, in the Shenandoah Valley, one on September 19th, near Winchester, the second three days later, at Fisher's Hill, and the greatest of all at Cedar Creek, on the 19th of October, when what had already been a repulse of our army, by a surprise on the part of General Early, was turned into a glorious victory by the timely arrival of Sheridan, who on his return from Washington, hearing the guns of the battle at Winchester, rode full speed to join his men, whom he reformed and led instantly to the destruction of the exalting rebels. It has pleased Almighty God to prolong our national life another year, defending us with His guardian care against unfriendly, designs, from abroad, and vouchsafing to us in His mercy many and signal victories over the enemy who is of our own household. It has also pleased our Heavenly Father to favor as well our citizens in their homes as our soldiers in their camps and our sailors on the rivers and seas, with unusual health. He has largely augmented our free population by emancipation and by immigration, while He has opened to us new sources of wealth, and has crowned the labor of our workingmen in every department of industry with abundant reward. Moreover, He has been pleased to animate and inspire our minds and hearts with fortitude, courage, and resolution sufficient for the great trial of civil war, into which we have been brought by our adherence as a nation to the cause of freedom and humanity, and to afford to us reasonable hopes of an ultimate and happy deliverance from all our dangers and affliction. Now, therefore, I, Abraham Lincoln, President of the United States, do hereby appoint and set apart the last Thursday in November next, as a day which I desire to be observed by all my fellow-citizens, wherever they may then be, as a day of thanksgiving and prayer to Almighty God, the beneficent Creator and Ruler of the universe; and I do further recommend to my fellow-citizens aforesaid, that on that occasion they do reverently humble themselves in the dust, and from thence offer up penitent and fer	vent prayers and supplications to the great Disposer of events, for a return of the inestimable blessings of peace, union, and harmony throughout the land, which it has pleased Him to assign as a dwelling-place for ourselves and our posterity, throughout all generations. EXECUTIVE MANSION, WASHINGTON, October 22. With great pleasure I tender to you, and your brave army, the thanks of the nation and my own personal admiration and gratitude for the month's operations in the Shenandoah Valley, and especially for the splendid work of October 19. These victories gave vigor and courage to the country. The price of gold fell in the market, the credit of the Government was rapidly enhanced, volunteers swelled the ranks of the army, and the menaced draft promised to be unnecessary. THANKS TO THE OHIO TROOPS. Pursuant to the President's directions, I transmit to you the following Executive order, made by him in acknowledgment of the services of the hundred-day men, who at the opening of the spring campaign volunteered their service in the operations of General Grant. The certificates of ser	vices mentioned in the order will be prepared without delay and trans	mitted to the officers and soldiers entitled to them. EXECUTIVE MANSION, WASHINGTON CITY, September 10, 1864. The term of one hundred days for which the National Guard of Ohio volunteered having expired, the President directs an official acknowledgment of their patriotism and valuable services during the recent campaign. The term of service of their enlistment was short, but distinguished by memorable events in the valley of the Shenandoah, on the Peninsula, in the operations of the James River, around Petersburg and Richmond, in the battle of Monocacy, in the intrenchments of Washington, and in other important service. The National Guard of Ohio performed with alacrity the duty of patriotic volunteers, for which they are entitled, and are here	by tendered, through the Governor of their State, the national thanks. The Secretary of War is directed to transmit a copy of this order to the Governor of Ohio, and to cause a certificate of their honorable service to be delivered to the officers and soldiers of the Ohio National Guard, who recently served in the military force of the United States as volunteers for one hundred days. THANKS TO THE TROOPS OF ILLINOIS. WAR DEPARTMENT, WASHINGTON, October 7, 1864. The following order has been made by the President, and the Adjutant	General is preparing certificates for the officers and soldiers of your State, which will be forwarded to you for distribution. EXECUTIVE MANSION, WASHINGTON, October 1, 1864. The term of one hundred days for which volunteers from the States of Indiana, Illinois, Iowa, and Wisconsin volunteered, under the call of their respective Governors, in the months of May and June, to aid the recent campaign of General Sherman, having expired, the President directs an official acknowledgment to be made of their patriotic service. It was their good fortune to render effective service in the brilliant operations in the Southwest, and to contribute to the victories of the national arms over the rebel forges in Georgia, under command of Johnston and Hood. On all occasions, and in every service to which they were assigned, their duty as patriotic volunteers was performed with alacrity and courage, for which they are entitled to and are hereby tendered the national thanks through the Governors of their respective States. The Secretary of War is directed to transmit a copy of this order to the Governors of Indiana, Illinois, Iowa, and Wisconsin, and to cause a certificate of their honorable services to be delivered to the officers and soldiers of the States above named, who recently served in the military service of the United States as volunteers for one hundred days. To one of the Ohio regiments returning through Washington and calling to serenade him, the President made a brief speech, in which are noticeable, first, his desire to impress upon thrum the importance of the main point involved in the contest with the rebellion, and the duty of not allowing minor matters to blind them to this main point, and second, that specimen of his careful and perfectly clear way of stating a proposition, when he says, not that this is a country in which all men are equal, but that it is one in which "every man has a right to be equal to every other man." SOLDIERS:--You are about to return to your homes and your friends, after having, as I learn, performed in camp a comparatively short term of duty in this great contest. I am greatly obliged to yon, and to all who have come forward at the call of their country. I wish it might be more generally and universally understood what the country is now engaged in. We have, as all will agree, a free government, where every man has a right to be equal with every other man. In this great struggle, this form of government and every form of human right is endangered if our enemies succeed. There is more involved in this contest than is realized by every one. There is involved in this struggle, the question whether your children and my children shall enjoy the privileges we have enjoyed. I say this, in order to impress upon you, if you are not already so impressed, that no small matter should divert us from our great purpose. There may be some inequalities in the practical application of our system. It is fair that each man shall pay taxes in exact proportion to the value of his property; but if we should wait, before collecting a tax, to adjust the taxes upon each man in exact proportion with every other man, we should never collect any tax at all. There may be mistakes made sometimes; things may be done wrong, while the officers of the Government do all they can to prevent mistakes. But I beg of you, as citizens of this great Republic, not to let your minds be carried off from the great work we have before us. This struggle is too large for you to be diverted from it by any small matter. When you return to your homes, rise up to the height of a generation of men worthy of a free government, and we will carry out the great work we have commenced. I return to you my sincere thanks, soldiers, for the honor you have done me this afternoon. SOLDIERS:--I suppose you are going home to see your families and friends. For the services you have done in this great struggle in which we are engaged, I present you sincere thanks for myself and the country. I almost always feel inclined, when I say any thing to soldiers, to impress upon them, in a few brief remarks, the importance of success in this contest. It is not merely for the day, but for all time to come, that we should perpetuate for our children's children that great and free government which we have enjoyed all our lives. I beg you to remember this, not merely for my sake, but for yours. I happen, temporarily, to occupy this big White House. I am a living witness that any one of your children may look to come here as my father's child has. It is in order that each one of you may have, through this free government which we have enjoyed, an open field, and a fair chance for your industry, enterprise, and intelligence; that you may all have equal privileges in the race of life, with all its desirable human aspirations--it is for this that the struggle should be maintained, that we may not lose our birthrights--not only for one, but for two or three years, if necessary. The nation is worth fighting for, to secure such an inestimable jewel. The premonitory symptoms of the result of the Presidential contest were seen in the State elections by which it was preceded. In September Vermont led off with a largely increased Union majorty, and Maine followed her a week after, showing also a proportionate increase in the majority with which that State had sustained the Administration. But the October elections in Ohio, Indiana, and Pennsylvania indicated yet more clearly what was to be the result in November. The two former States gave heavy majorities for the Union ticket on the home vote. In fact, in Indiana the soldiers were not allowed to vote at all. Governor Morton, who was a candidate for re-election, had made a splendid canvass, speaking with great effect all over the State. One matter which doubtless aided him materially, was the discovery of a plot on the part of leading members of the Democratic party in the Northwest to raise a revolt in that section of the country, to release the rebel prisoners, and by arming them, to make a powerful diversion in favor of the rebels. The election following close upon this exposure, Indiana reelected Governor Morton by a large majority, in spite of the absence of many of her loyal sons ill the field. In Pennsylvania the result upon the home vote was close, but with the soldiers' votes the Union ticket carried the State by about twelve thousand majority. A victory was won, also, in Maryland for freedom, by the adoption, though by a close vote, of the new Free State Constitution. The heavy majorities in its favor, which were given by Baltimore and the more loyal sections of the State, were overborne by the votes of the southern and western counties, but the votes of the soldiers were almost unanimous in favor of the Constitution, and Maryland took her place as a State whose freedom was insured. EXECUTIVE MANSION, WASHINGTON, October 18. MY DEAR SIR:--A convention of Maryland has formed a new Constitution for the State; a public meeting is called for this evening, at Baltimore, to aid in securing its ratification, and you ask a word from me for the occasion. I presume the only feature of the instrument about which there is serious controversy, is that which provides for the extinction of slavery. It needs not to be a secret, and I presume it is no secret, that I wish success to this provision. I desire it on every consideration. I wish to see all men free. I wish the national prosperity of the already free, which I feel sure the extinction of slavery would bring. I wish to see in progress of disappearing that only thing which could bring this nation to civil war. I attempt no argument. Argument upon the question is already exhausted by the abler, better informed and more immediately interested sons of Maryland herself. I only add, that I shall be gratified exceedingly if the good people of the State shall by their votes ratify the new Constitution. FRIENDS AND FELLOW-CITIZENS:--I am notified that this is a compliment paid me by the loyal Marylanders resident in this District. I infer that the adoption of the new Constitution for the State furnishes the occasion, and that in your view the extirpation of slavery constitutes the chief merit of the new Constitution. Most heartily do I congratulate you, and Maryland, and the nation, and the world, upon this event. I regret that it did not occur two years sooner, which, I am sure, would have saved the nation more money than would have met all the private loss incident to the measure; but it has come at last, and I sincerely hope its friends may fully realize all their anticipations of good from it, and that its opponents may by its effects be agreeably and profitably disappointed. A word upon another subject. Something said by the Secretary of State in his recent speech at Auburn, has been construed by some into a threat, that if I shall be beaten at the election, I will, between then and the end of my constitutional term, do what I may be able to ruin the Government. Others regard the fact that the Chicago Convention adjourned, not sine die, but to meet again, if called to do so by a particular individual, as the intimation of a purpose that if their nominee shall be elected he will at once seize control of the Government. I hope the good people will permit themselves to suffer no uneasiness on either point. I am strug	gling to maintain the Government, not to overthrow it. I am struggling especially to prevent others from overthrowing it. I therefore say that if I live, I shall remain President until the 4th of next March, and that whoever shall be constitutionally elected, in November, shall be duly installed as President on the 4th of March, and in the inter	val I shall do my utmost that whoever is to hold the helm for the next voyage shall start with the best possible chance of saving the ship. This is due to the people, both on principle and under the Constitution. Their will, constitutionally expressed, is the ultimate law for all. If they should deliberately resolve to have immediate peace, even at the loss of their country and their liberties, I know not the power or the right to resist them. It is their own business, and they must do as they please with their own. I believe, however, they are still resolved to preserve their country and their liberties; and in this, in office or out of it, I am re	solved to stand by them. I may add, that in this purpose to save the country and its liberties, no classes of people seem so nearly unanimous as the soldiers in the field and the sailors afloat. Do they not have the hardest of it? Who should quail while they do not? God bless the sol	diers and seamen, with all their brave commanders. The latter part of this speech was called forth by a current misrepresentation of a speech made by Secretary Seward at Auburn, on the 5th of September. The Secretary had alluded to the declaration of the Chicago Convention in favor of an immediate cessation of hostilities, and the inevitable tendency of the success of the ticket nominated upon that platform to paralyze the efforts of the Government to put down the rebellion by force of arms; and he asked, if such a thing should happen, "who could vouch for the safety of the country against the rebels, during the interval which must elapse before the new Administration can constitutionally come into power?" This was distorted into a threat that if the Democratic candidate should be elected, the Administration would take means to retain by usurpation the power which should of right be handed over to him. And the charge was repeated so persistently, that the President at length felt called upon to notice it as he did. The result of the October elections had practically determined the result in November. But, as the time drew near, the atmosphere seemed full of turbulent and threatening elements. Loud and angry charges of fraud in the October elections were made by the Opposition, but were not sustained; and they were succeeded by yet louder charges from the other side of an attempted fraud in the soldiers' votes of the State of New York, which were followed up by proof. Some of the Democratic agents were convicted of these attempted frauds, and, after trial and conviction by a military commission, they were sentenced to a, heavy imprisonment. The rebels used all means in their power to aid the party from whose success they anticipated so much advantage. Hood's movement, it was hoped, would have a political influence upon the election; and Early's advance was spoken of in Southern journals as a means of assisting the counting of the ballots in Pennsylvania. Along the Northern border, too, the rebel agents, sent thither on "detached service" by the Rebel Government, were active, in movements intended to terrify and harass the people. On the 19th of October, a party of them made a raid into St. Albans, Vermont, robbing the banks there, and making their escape across the lines into Canada with their plunder, having killed one of the citizens in their attack. Pursuit was made, and several of the marauders were arrested in Canada. Proceedings were commenced to procure their extradition, which were not, however, brought to a close before the election. The Government received information that this affair was but one of a projected series, and that similar attempts would be made all along the frontier. More than this, there were threats, followed by actual attempts, to set fire to the principal Northern cities, and there were not wanting some signs of an inclination to renew the scenes of the riots of the year before. A very grave sensation was produced by the publication of a report of Judge Advocate-General Holt, giving conclusive proof of the existence of an organized secret association at the North, controlled by prominent men in the Democratic party, whose objects were the overthrow, by revolution, of the Administration, in the interest of the rebellion. Some of the leaders were arrested and tried. The Democratic presses had sneered at the whole affair as one which was got up by the Government for political effect. But when one of their leaders, being on parole as he was being tried, ran away rather than meet the result, people began to be sensible of the danger they had escaped. Now, therefore, be it known, that I, Abraham Lincoln, President of the United States, in accordance with the duty imposed upon me by the act of Congress aforesaid, do hereby declare and proclaim that the said State of Nevada is admitted into the Union on an equal footing with the original States. Done at the City of Washington, this thirty-first day of October, in the year of our Lord one thousand eight hundred and sixty-four, and of the independence of the United States the eighty-ninth. hundred thousand votes--a larger majority than was ever received by any other President. FRIENDS AND FELLOW-CITIZEN:--Even before I had been informed by you that this compliment was paid to me by loyal citizens of Pennsylvania, friendly to me, I had inferred that you were that portion of my countrymen who think that the best interests of the nation are to be sub	served by the support of the present Administration. I do not pretend to say that you who think so embrace all the patriotism and loyalty of the country. But I do believe, and I trust without personal interest, that the welfare of the country does require that such support and indorsement be given. I earnestly believe that the consequence of this day's work, if it be as you assure me, and as now seems probable, will be to the lasting advantage, if not to the very salvation of the country. I cannot at this hour say what has been the result of the election; but what	ever it may have been, I have no desire to modify this opinion, that all who have labored to-day in behalf of the Union organization have wrought for the best interests of their country and the world, not only for the present, but for all future ages. I am thankful to God for this approval of the people. But, while deeply grateful for this mark of their confidence in me, if I know my heart, my gratitude is free from any taint of personal triumph. I do not impugn the motives of any one opposed to me. It is no pleasure to me to triumph over any one, but I give thanks to the Almighty for this evidence of the people's resolution to stand by free government and the rights of humanity. It has long been a grave question whether any Government, not too strong for the liberties of its people, can be strong enough to maintain its existence in great emergencies. On this point the present rebellion brought our Government to a severe test, and a Presidential election occurring in a regular course during the rebellion, added not a little to the train. If the loyal people united were put to the utmost of their strength by the rebellion, must they not fail when divided and partially paralyzed by a political war among themselves? But the election was a necessity. We cannot have free government without elections; and if the rebellion could force us to forego or postpone a national election, it might fairly claim to have already conquered and ruined us. The strife of the election is but human nature practically applied to the facts of the case. What has occurred in this case must ever recur in similar cases. Human nature will not change. In any future great national trial, compared with the men of this, we will have as weak and as strong, as silly and as wise, as bad and as good. Let us, therefore, study the incidents of this as philosophy to learn wisdom from, and none of them as wrongs to be revenged. But the election, along with its incidental and undesirable strife, has done good, too. It has demonstrated that a people's government can sustain a national election in the midst of a great civil war. Until now, it has not been known to the world that this was a possibility. It shows, also, how sound and how strong we still are. It shows that even among the candidates of the same party, he who is most devoted to the Union and most opposed to treason can receive most of the people's votes. It shows, also, to the extent yet known, that we have more men now than we had when the war began. Gold is good in its place; but living, brave, and patriotic men are better than gold. But the rebellion continues, and, now that the election is over, may not all have a common interest to reunite in a common effort to save our common country? For my own part, I have striven and shall strive to avoid placing any obstacle in the way. So long as I have been here, I have not willingly planted a thorn in any man's bosom. While I am duly sensible to the high compliment of a re-election, and duly grateful, as I trust, to Almighty God, for having directed my countrymen to a right conclusion, as I think, for their good, it adds nothing to my satisfaction that any other man may be disappointed by the result. May I ask those who have not differed with me to join with me in this same spirit towards those who have? And now, let me close by asking three hearty cheers for our brave soldiers and seamen, and their gallant and skilful commanders. But though the President rejoiced over the result mainly because of its public bearing on the welfare of the country, he was by no means insensible to the personal confidence in himself which it exhibited. This feeling he expressed in a speech which he made to the State Committee of Maryland, who waited on him to congratulate him upon the trust. The Chairman had remarked that they felt under deep obligations to him because, by the exercise of rare discretion on his part, Maryland to-day occupied the proud position of a free State. The President said that he would not attempt to conceal his gratification with the result of the election. He had exercised his best judgment for the good of the whole country, and to have the seal of approbation placed upon his course was exceedingly grateful to his feelings. Believing the policy he had pursued was the best and the only one which could save the country, he repeated what he had said before, that he indulged in no feeling of triumph over any one who had thought or acted differently from himself. He had no such feeling towards any living man. He thought the adoption of a Free State Constitution for Maryland was "a big thing," and a victory for right and worth a great deal more than the part of Maryland in the Presidential election, although of the latter he thought well. In conclusion, he repeated what he had said before: namely, that those who differed from and opposed us, will yet see that defeat was better for their own good than if they had been successful. EXECUTIVE MANSON, WASHINGTON, November 21, 1864. MY DEAR SIR:--I have heard of the incident at the polls in your town, in which you acted so honorable a part, and I take the liberty of writing to you to express my personal gratitude for the compliment paid me by the suffrage of a citizen so venerable. DEAR MADAM:--I have been shown in the files of the War Department a statement of the Adjutant-General of Massachusetts, that you are the mother of five sons who have died gloriously on the field of battle. I feel how weak and fruitless must be any words of mine which should attempt to beguile you from the grief of a loss so overwhelming. But I cannot refrain from tendering to you the consolation that may be found in the thanks of the Republic they died to save. I pray that our Heavenly Father may assuage the anguish of your bereavement, and leave you only the cherished memory of the loved and lost, and the solemn pride that must be yours to have laid so costly a sacrifice upon the altar of freedom. To Mrs. BIXBY, Boston, Massachusetts. This letter, addressed to one conspicuous among the thousands who had laid "costly sacrifices upon the altar of Freedom," touched the hearts of all, and strengthened the feelings of love which the great body of the people were coming to cherish for the man whom Providence had made their ruler. MY ESTEEMED FRIEND:--I have not forgotten, probably never shall forget, the very impressive occasion when yourself and friends visited me on a Sabbath forenoon, two years ago; nor had your kind letter, written nearly a year later, ever been forgotten. In all it has been your purpose to strengthen my reliance in God. I am much indebted to the good Christian people of the country for their constant prayer and consolation, and to no one of them more than to yourself. The purposes of the Al	mighty are perfect and must prevail, though we erring mortals may fail to accurately perceive them in advance. We hoped for a happy termination of this terrible war long before this, but God knows best, and has ruled otherwise. We shall yet acknowledge His wisdom and our own errors therein. Meanwhile we must work earnestly in the best lights He gives us, trusting that so working still conduces to the great ends He ordains. Surely, He intends some great good to follow this mighty convulsion, which no mortal could make, and no mortal could stay. Your people--the Friends--have had, and are having, very great trials. On principle and faith opposed to both war and oppression, they can only practically oppose oppression by war. In this hard dilemma, some have chosen one horn and some the other. For those appealing to me on conscientious grounds, I have done and shall do the best I could and can in my own conscience under my oath to the law. That you believe this, I doubt not, and believing it, I shall still receive for our country and my	self your earnest prayers to our Father in Heaven. This sense of religious reliance upon Providence, evident in all his acts, as well as in his expressions, and a feeling of the integrity and purity of purpose which pervaded all his acts, had won for Mr. Lincoln the cordial support of the various Christian churches of the country, and he had good reason, therefore, for thus expressing his indebtedness to the "Christian people of the land for their constant prayer and consolation." Though not a member of any church or sect, he never neglected a proper occasion for declaring his faith in those great principles on which all Christian churches and sects are built. I can only say now, as I have often said before, it has always been a sentiment with me, that all mankind should be free. So far as I have been able, so far as came within my sphere, I have always acted as I believed was just and right, and done all I could for the good of mankind. I have, in letters sent forth from this office, expressed myself better than I can now. In regard to the great Book, I have only to say it is the best gift which God has ever given to man. All the good from the Saviour of the world is communicated to us through this Book. But for that Book, we could not know right from wrong. All those things desirable to man are contained in it. I return you sincere thanks for this very elegant copy of this great Book of God which you present. GENTLEMEN:--In response to your address, allow me to attest the accuracy of its historical statements, indorse the sentiments it expresses, and thank you in the nation's name for the sure promise it gives. Nobly sustained, as the Government has been, by all the churches, I would utter nothing which might in the least appear invidious against any. Yet without this, it may fairly be said, that the Methodist Episcopal Church, not less devoted than the best, is by its greatest numbers the most important of all. It is no fault in others that the Methodist Church sends more soldiers to the field, more nurses to the hospitals, and more prayers to Heaven than any other. God bless the Methodist Church. Bless all the churches; and blessed be God, who in this our great trial giveth us the churches. In the present very responsible position in which I am engaged, I have had great cause of gratitude for the support so unanimously given by all Christian denominations of the country. I have had occasion so frequently to respond to something like this assemblage, that I have said all I had to say. This particular body is, in all respects, as respectable as any that have been presented to me. The resolutions I have merely heard read, and I therefore beg to be allowed an opportunity to make a short response in writing. EXECUTIVE MANSION, WASHINGTON, December 27, 1864. MY DEAR SIR:--I have the honor to acknowledge the reception of your note of the 20th of December, conveying the announcement that the Trustees of the College of New Jersey had conferred upon me the degree of Doctor of Laws. The assurance conveyed by this high compliment, that the course of the Government which I represent has received the approval of a body of gentlemen of such character and intelligence, in this time of public trial, most grateful to me. Thoughtful men must feel that the fate of civilization upon this continent is involved in the issue of our contest. Among the most gratifying proofs of this conviction is the hearty devotion everywhere exhibited by our schools and colleges to the national cause. I am most thankful if my labors have seemed to conduct to the of those institutions, under which alone we can expect good government, and in its train sound learning, and the progress of the liberal arts. It was with no ordinary interest that the "good Christian people" of the North had in the political campaign. And it was with satisfaction that they saw the triumph of the cause, which was so dear to their hearts, secured by the re-election of a man so true, so pure, so honest, so kindly, so thoroughly Christian in the true sense of the word, as President Lincoln.